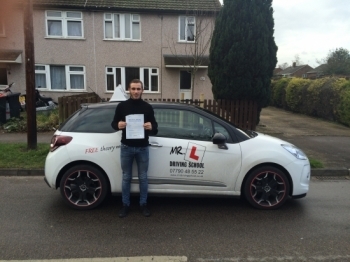 Driving lessons with Mr L Driving School increase your chances of Passing First Time! Below are some of our fantastic passers! 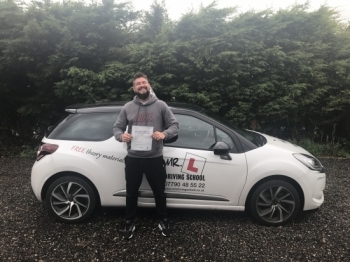 Congratulations to Shane Parker from Beck Row who passed his extended driving test in Cambridge on the 28-3-19 after taking driving lessons with MR.L Driving School. 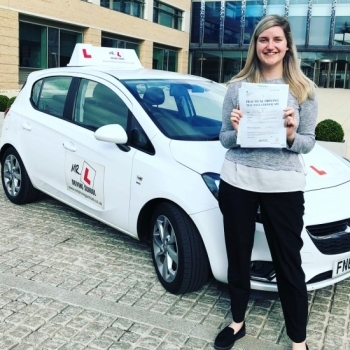 Congratulations to Caroline Hodgson who passed in Cambridge on the 26-3-19 after taking driving lessons with MR.L Driving School. 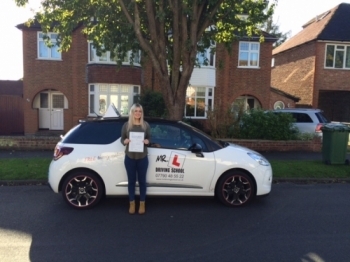 Having previously failed her driving test we are pleased to say Caroline passed at the 1st attempt with us. 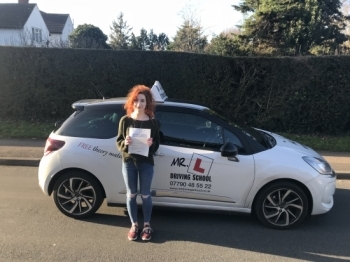 Congratulations to Massie Gibbard from Cambridge who passed 1st time with just 2df´s on the 25-3-19 after taking driving lessons with MR.L Driving School. 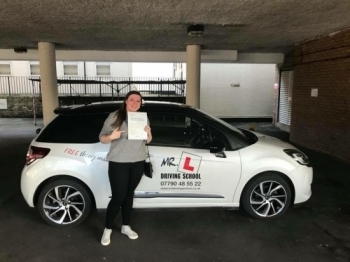 Congratulations to Lindsay Haughan from Cambridge who passed 1st time with just 2df´s on the 25-3-19 after taking driving lessons with MR.L Driving School. 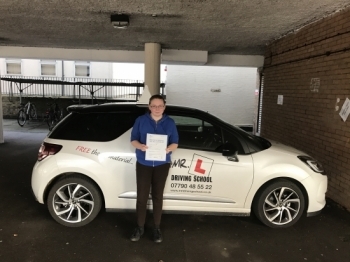 Congratulations to Sarah Stebbings who passed in Cambridge on the 20-3-19 after taking driving lessons with MR.L Driving School. 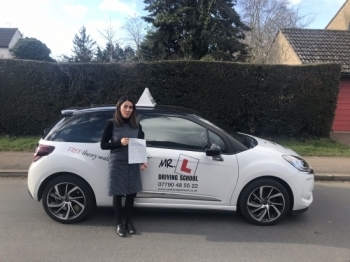 Congratulations to Olga from Kirtling near Newmarket who passed in Cambridge on the 14-3-19 after taking driving lessons with MR.L Driving School. 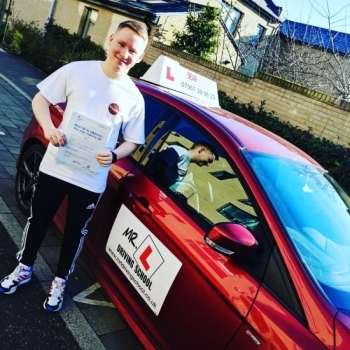 Congratulations to Sean Sheppard from Newmarket who passed 1st time in Cambridge on the 11-3-19 after taking driving lessons with MR.L Driving School. 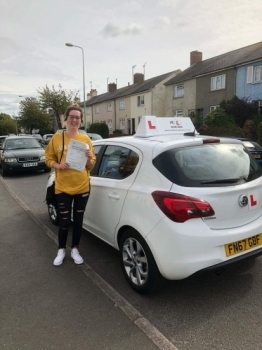 Congratulations to Meg Case from Newmarket who passed 1st time with just 2 driving faults in Cambridge on the 7-3-19 after taking driving lessons with MR.L Driving School. 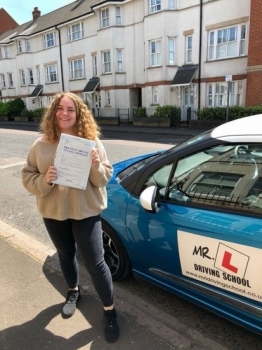 Congratulations to Jasmine Denniss from Bar Hill who passed in Cambridge on the 5-3-19 with ZERO driving faults after taking driving lessons with MR.L Driving School. An incredible achievement. 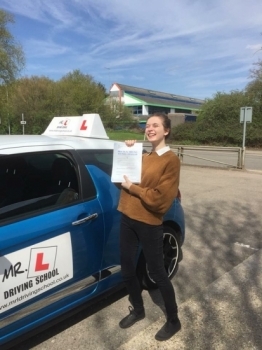 Congratulations to Alina Pruna from Exning who passed in Cambridge on the 4-3-19 after taking driving lessons with MR.L Driving School. 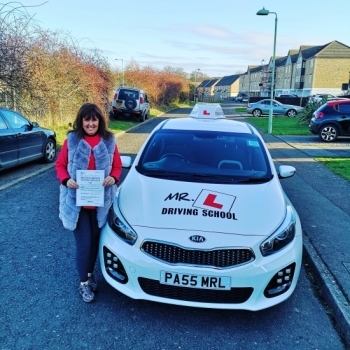 Congratulations to Tracy Hardman who passed in Cambridge on the 27-2-19 after taking driving lessons with MR.L Driving School. 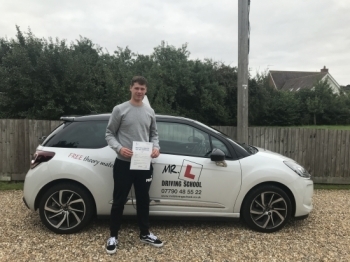 Congratulations to James Diss from Newmarket who passed in Cambridge on the 26-2-19 after taking driving lessons with MR.L Driving School. 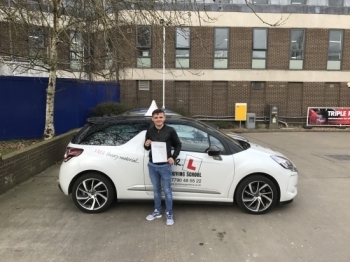 Congratulations to Kieran Barton from Streatham who passed in Cambridge on the 25-2-19 after taking driving lessons with MR.L Driving School. 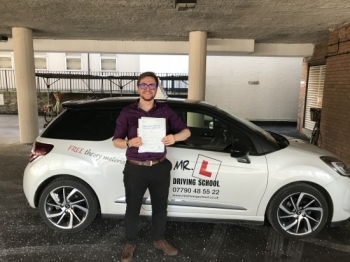 Congratulations to Christopher Heyburn who passed in Cambridge on the 25-2-19 after taking driving lessons with MR.L Driving School. 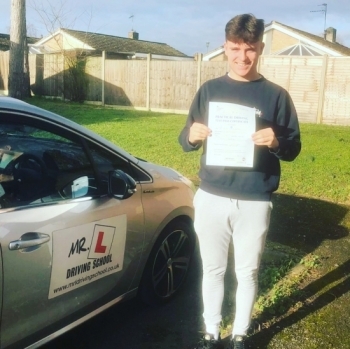 Congratulations to Charley Game from Fordham who passed 1st time in Cambridge on the 22-2-19 after completing an intensive driving course with MR.L Driving School. 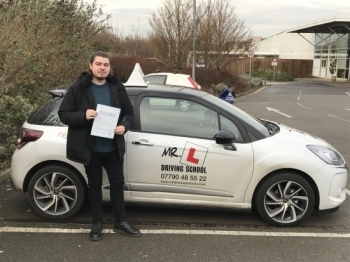 Congratulations to Andrei Tudor who passed in Cambridge on the 21-2-18 after taking driving lessons with MR.L Driving School. 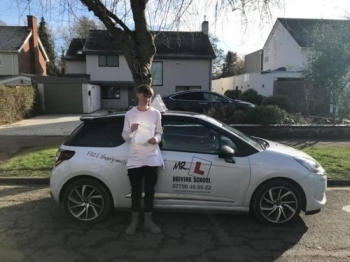 Congratulations to Michael Warin from Mildenhall who passed 1st time in Cambridge with just 3df´s on the 11-2-19 after taking driving lessons with MR.L Driving School. 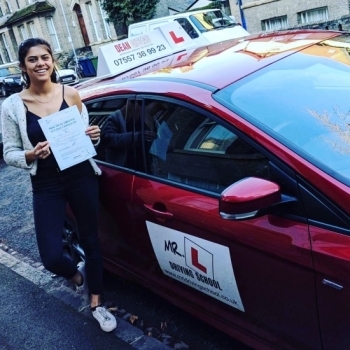 Congratulations to Tash Bashir who passed 1st time in Cambridge on the 11-2-19 after taking driving lessons with MR.L Driving School. 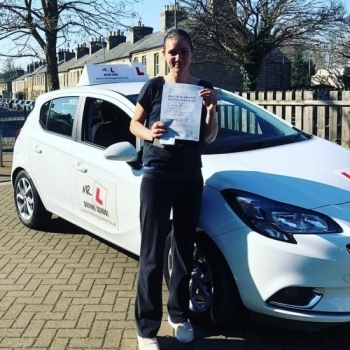 Congratulations to Jade Jones from Newmarket who passed 1st time in Cambridge on the 11-2-19 with just 3df´s after taking driving lessons with MR.L Driving School. 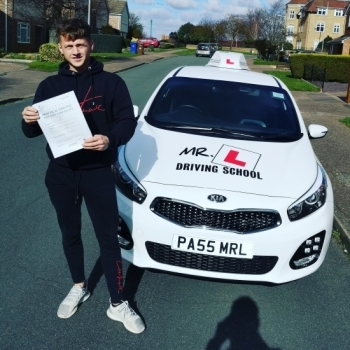 Congratulations to Tom Bristley from Newmarket who passed in Cambridge on the 11-2-19 after taking driving lessons with MR.L Driving School. 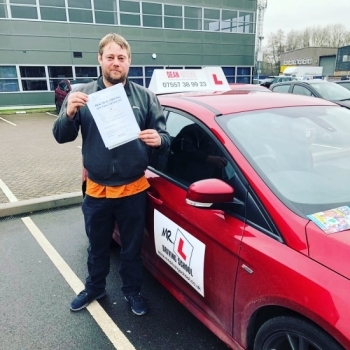 Congratulations to Karl Symonds from Newmarket who passed in Cambridge on the 7-2-19 after taking driving lessons with MR.L Driving School. 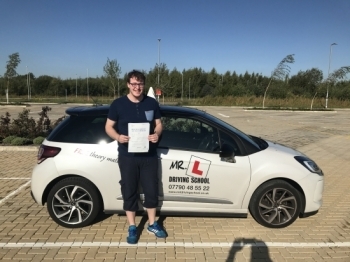 Congratulations to Michael Stamp from Newmarket who passed in Cambridge on the 5-2-19 after taking driving lessons with MR.L Driving School. 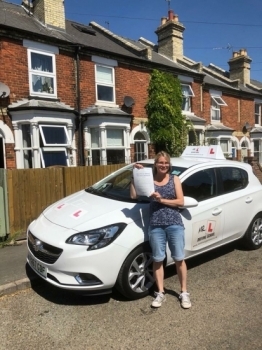 Congratulations to Karen Plume from Lakenheath who passed 1st time in Cambridge on the 5-2-19 after taking driving lessons with MR.L Driving School. 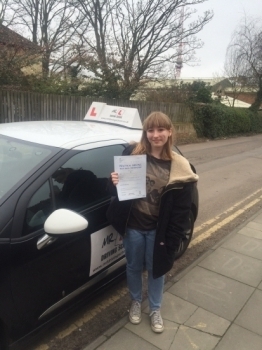 Congratulations to Gillie More from Newmarket who passed in Cambridge on the 28-1-19 after taking driving lessons with MR.L Driving School. 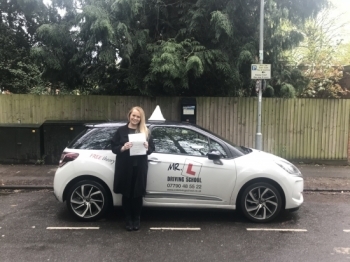 Congratulations to Ewelina from Newmarket who passed 1st time in Cambridge on the 18-1-19 with just 1 minor fault after taking driving lessons with MR.L Driving School. 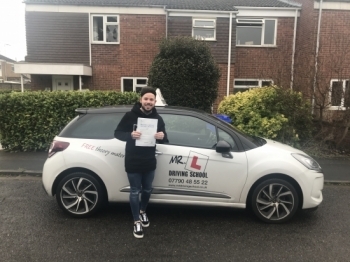 Congratulations to Ty Evans from Cambridge who passed 1st time on the 14-1-19 after taking driving lessons with MR.L Driving School. 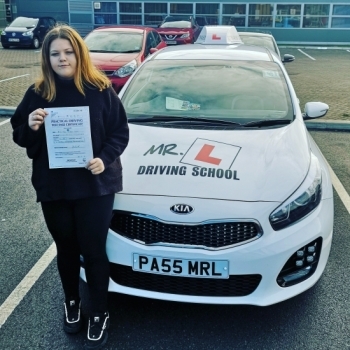 Congratulations to Katie Crowe from Stretham who passed in Cambridge on the 9-1-19 after taking driving lessons at MR.L Driving School. 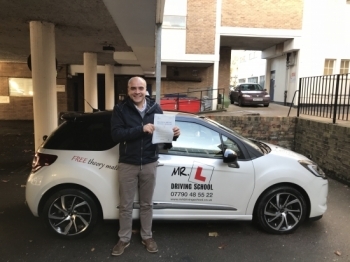 Congratulations to Constantin Lache from Newmarket who passed first time in Cambridge on the 3-1-19 after taking driving lessons with MR.L Driving School. 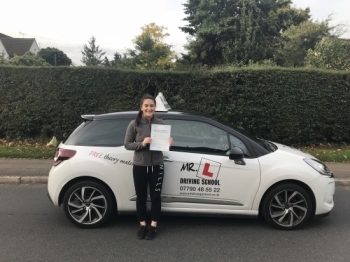 Congratulations to Niamh from Newmarket who passed 1st time in Cambridge on the 28-12-18 after taking driving lessons with MR.L Driving School. 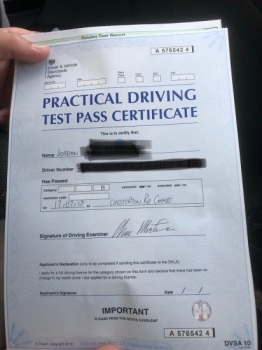 Congratulations to Jodie from Cambridge who passed 1st time on the 30-11-18 after taking driving lessons with MR.L Driving School. 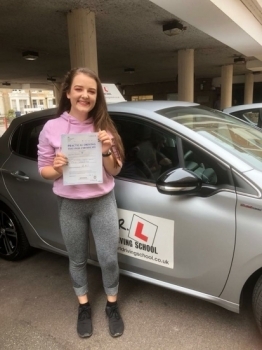 Congratulations to Grace Atyes who passed 1st time in Cambridge on the 29-11-18 after taking driving lessons with MR.L Driving School. 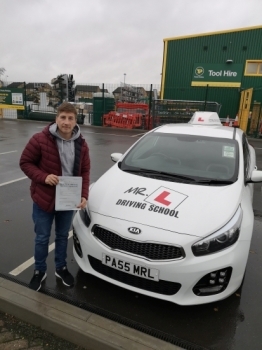 Congratulations to Charlie Arthur from Cambridge who passed on the 28-11-18 after taking driving lessons with MR.L Driving School. 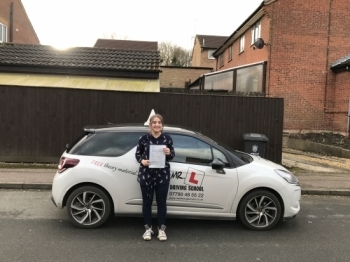 Congratulations to Rebecca Daniel from Gazeley who passed 1st time in Cambridge on the 14-11-18 after taking driving lessons with MR.L Driving School. 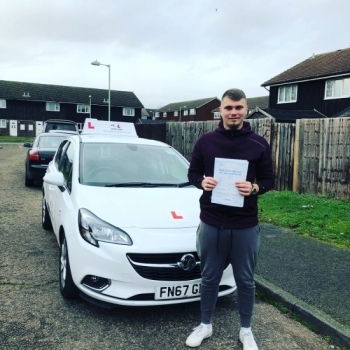 Congratulations to George Mavroghenis who passed 1st time in Bury St Edmunds on the 9-11-18 after taking driving lessons with MR.L Driving School. 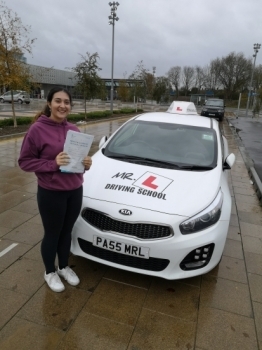 Congratulations to Alena Hubble who passed 1st time in Cambridge on the 2-11-18 after taking driving lessons with MR.L Driving School. 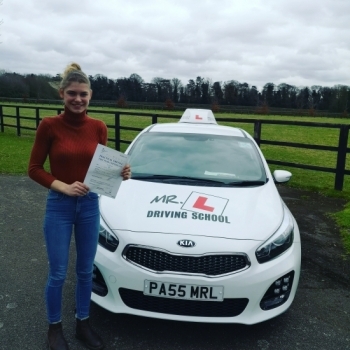 Congratulations to Amelia Aubrey who passed in Cambridge on the 1-11-18 after taking driving lessons with MR.L Driving School. 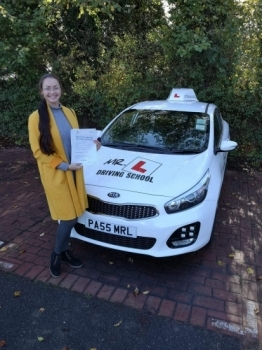 Congratulations to Kia Mousley from Bury St Edmunds who having failed a previous test in the past passed 1st time with MR.L Driving School on the 30-10-18. 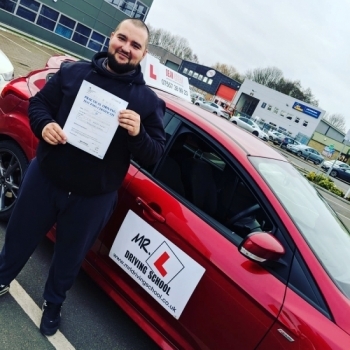 Congratulations to Alex from Cambridge who passed 1st time with just 2df´s on the 26-10-18 after taking driving lessons with MR.L Driving school. 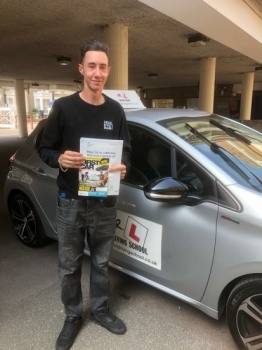 Two tests and two passes as Josh Soer and Paul Watts both did the business in Cambridge after taking driving lessons with MR.L Driving School. 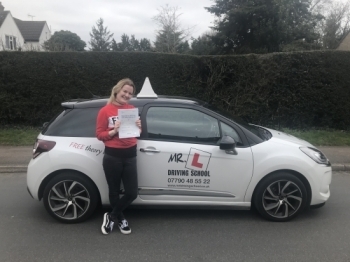 Congratulations to Roisin Boyle from Newmarket who passed 1st time in Cambridge on the 14-9-18 after taking driving lessons with MR.L Driving School. 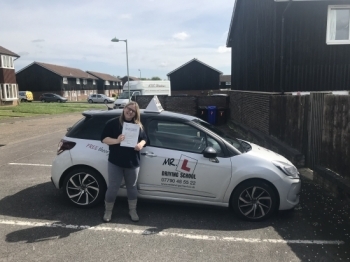 Congratulations to Laura Sharplin from Bar Hill who passed 1st time in Cambridge on the 31-8-18 after taking driving lessons with MR.L Driving School. 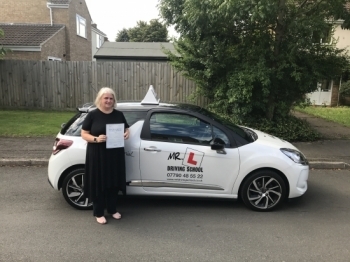 Congratulations to Dawn Tudor from Newmarket who passed 1st time in Cambridge on the 29-8-18 after taking driving lessons with MR.L Driving School. 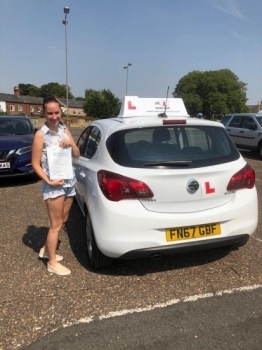 Congratulations to Yasmin Deller from Mildenhall who passed in Cambridge on the 28-8-18 after taking driving lessons with MR.L Driving School. 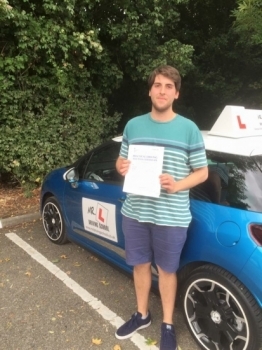 Congratulations to Pete Schiller from Newmarket who passed in Cambridge on the 28-8-18 after taking driving lessons with MR.L Driving School. 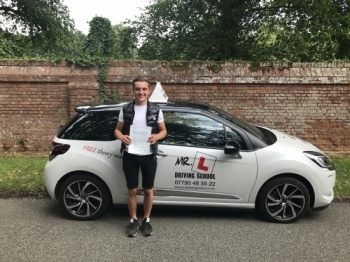 Congratulations to Jack Smith from Newmarket who passed 1st time in Cambridge on the 23-8-18 after taking driving lessons with MR.L Driving School. 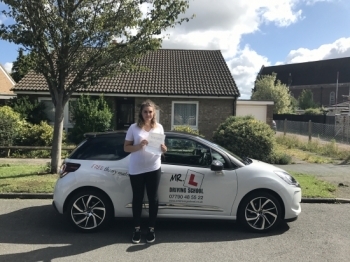 Congratulations to Emily Peachey from Linton who passed in Cambridge on the 22-8-18 after taking driving lessons with MR.L Driving School. 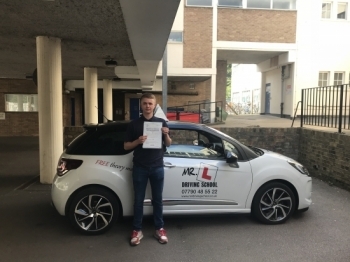 Congratulations to Zak Young from Upware who passed 1st time at Cowley Road in Cambridge on the 21-8-18 with only 1 driving fault after taking driving lessons with MR.L Driving School. 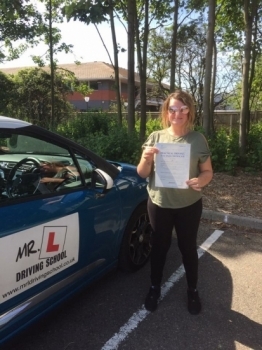 Congratulations to Lucy Girod from Mildenhall who passed 1st time in Cambridge on the 2-8-18 after taking driving lessons with MR.L Driving School. 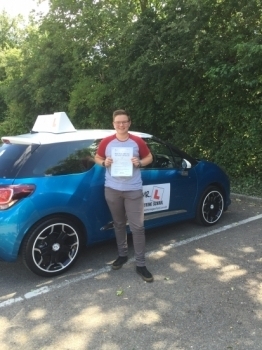 Congratulations to Shannon Roper from Newmarket who passed 1st time in Cambridge with just 1 minor fault on the 1-8-18 after taking driving lessons with MR.L Driving School. 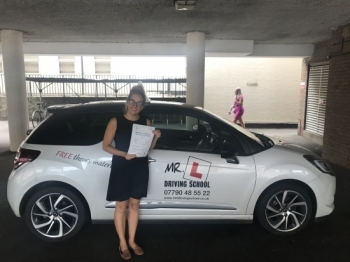 Congratulations to Sandra Poloiko from Newmarket who passed 1st time in Cambridge on the 26-7-18 with just 1 minor after taking driving lessons with MR.L Driving School. 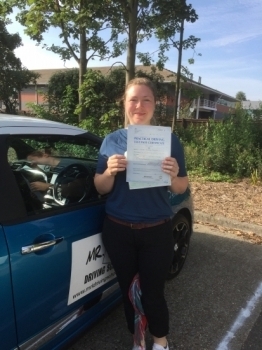 Congratulations to Lynsey Stephenson from Newmarket who passed 1st time in Cambridge on the 24-7-18 after taking driving lessons with MR.L Driving School. 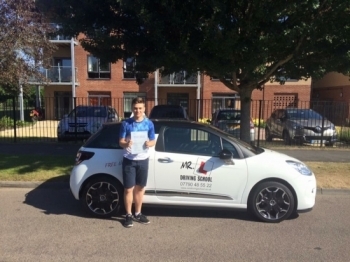 Congratulations to Jordan who passed his driving test on the 17-7-18 in Cambridge after taking driving lessons with MR.L Driving School. 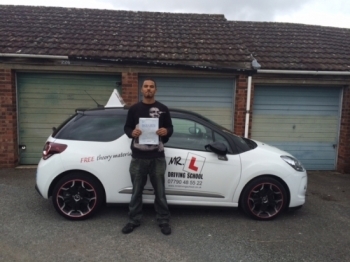 Having been unsuccessful a few years ago we’re pleased to say it was a 1st time pass with us. 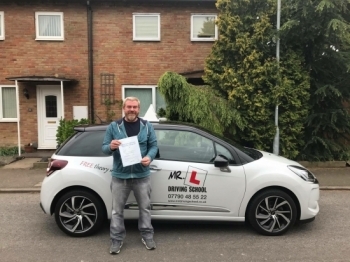 Congratulations to Richard Clark from Newmarket who passed in Cambridge on the 13-7-18 after taking driving lessons with MR.L Driving School. 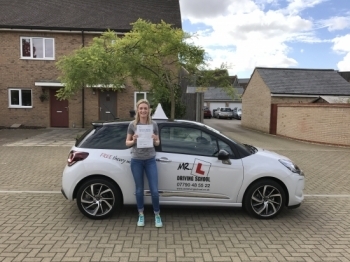 Congratulations to Chloe Moulding from Ely who passed 1st time in Cambridge on the 12-7-18 after taking driving lessons with MR.L Driving School. 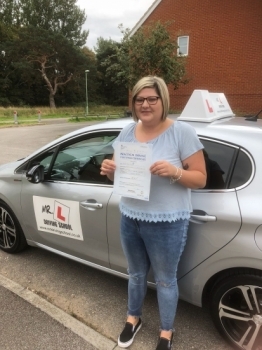 Congratulations to Vicky Wilson who passed 1st time in Cambridge on the 22-6-18 after taking driving lessons with MR.L Driving School. 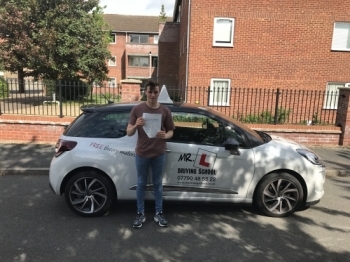 Congratulations to Charley Kimber who passed 1st time in Cambridge on the 12-6-18 after taking driving lessons with MR.L Driving School. 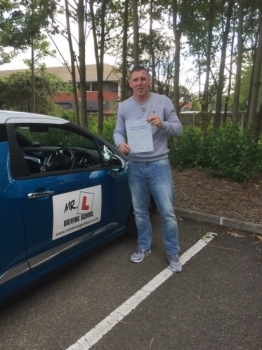 Congratulations to Jimmy McMurdo from Newmarket who passed in Cambridge on the 8-6-18 after taking driving lessons with MR.L Driving School. 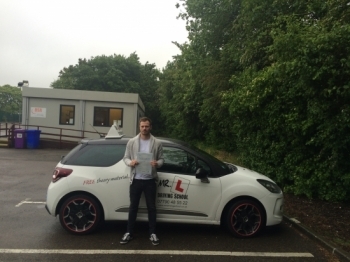 Jimmy had been unsuccessful in the past but we’re chuffed to say it was a first time pass with us. 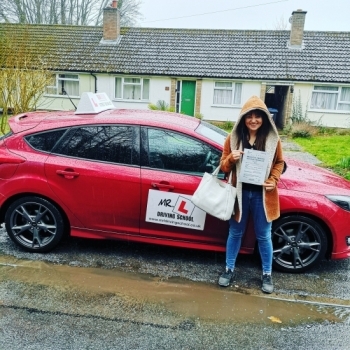 Congratulations to Mem Tahiri from Newmarket who passed 1st time in Cambridge on the 6-6-18 after taking driving lessons with MR.L Driving School. 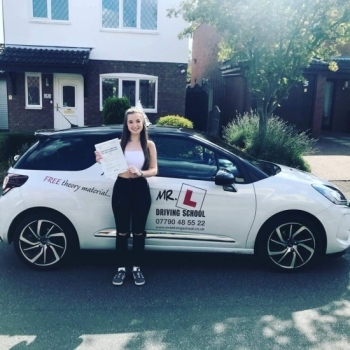 Congratulations to savannah halls from Sutton who passed 1st time in Cambridge on the 6-6-18 after taking driving lessons with MR.L Driving School. 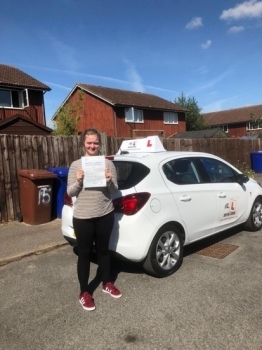 Congratulations to Rachel Harden from Soham who passed in Cambridge on the 15-5-18 after taking driving lessons with MR.L Driving School. 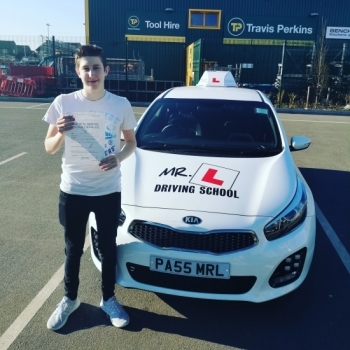 Congratulations to Brett Colton from Cambridge who passed on the 11-5-18 after taking driving lessons with MR.L Driving School. 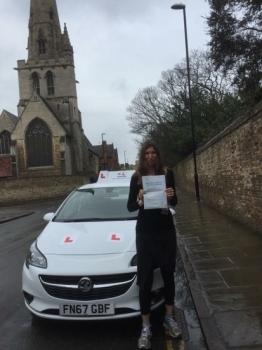 Congratulations to Jody Davy from Newmarket who passed 1st time in Cambridge on the 3-5-18 after taking driving lessons with MR.L Driving School. 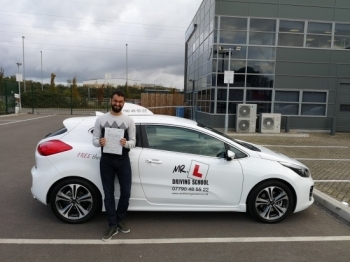 Congratulations to Ernest Chojaczyk from Newmarket who passed 1st time in Cambridge on the 3-5-18 after taking driving lessons with MR.L Driving School. 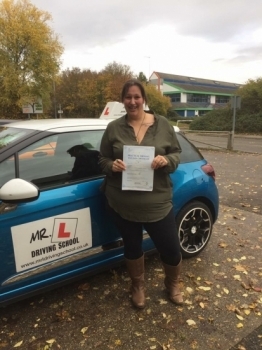 Congratulations to Nicola Compton from Cambridge who passed her driving test 1st time on the 27-4-18 after taking driving lessons with MR.L Driving School. 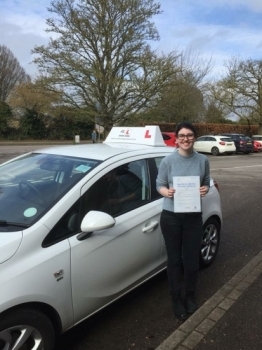 Congratulations to Hannah kanharn from Lakenheath who passed on the 17-4-18 in Cambridge with just 1 minor fault after taking lessons with MR.L Driving School. 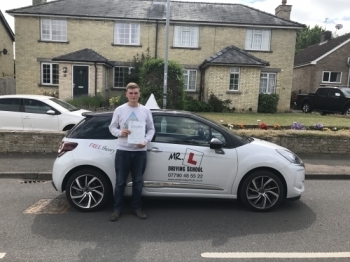 Congratulations to Mitchell Moore from Newmarket who passed 1st time in Cambridge on the 9-4-18 after taking driving lessons with MR.L Driving School. 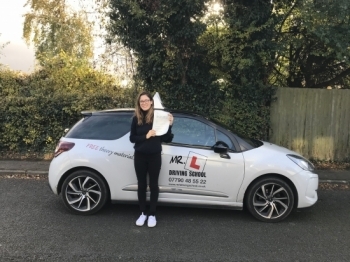 Congratulations to Melanie Arbon-West from Fulbourn who passed first time in Cambridge on the 3-4-18 just 1 week after turning 17 after taking lessons with MR.L Driving School. 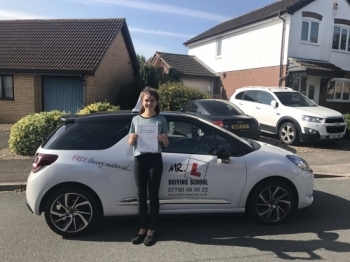 A MASSIVE well done and congratulations to Lucy-Marie Bell who went and passed her driving test not only 1st time but with ZERO driving faults! Lucy passed in Cambridge on the 22-3-18. 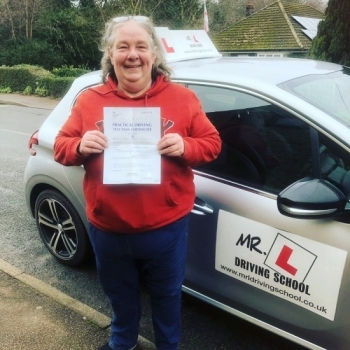 Congratulations to Dr. Helen Taylor from Cambridge who passed on the 12-3-18 after taking driving lessons with MR.L Driving School. Having failed a few years ago we’re pleased to say Dr. Helen passed 1st time with us. 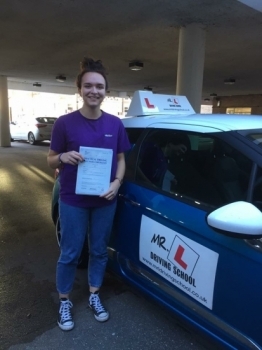 Congratulations to Chloe Munn from Soham who passed in Cambridge on the 10-3-18 after taking driving lessons with MR.L Driving School. 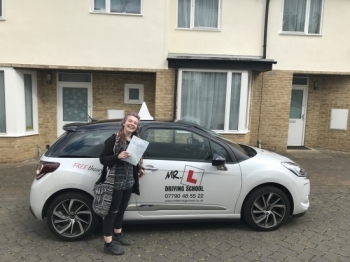 Congratulation to Rhiannon Barton from Ely who passed 1st time with just 1 minor fault in Cambridge on the 5-3-18 after taking driving lessons with MR.L Driving School. 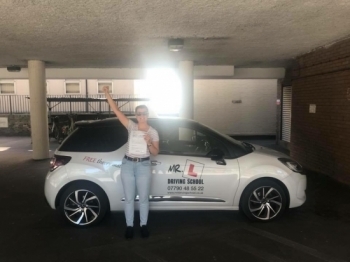 Congratulations to Virginia Vasconez who passed 1st time in Cambridge on the 26-2-18 after taking driving lessons with MR.L Driving School. 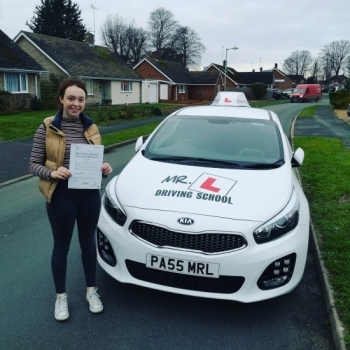 Congratulations to Lauren Aubury from Cambridge who passed 1st time on the 21-2-18 after taking driving lessons with MR.L Driving School. 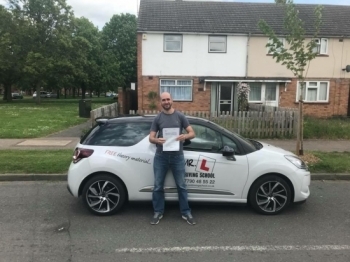 Congratulations to Guy from Ely who passed in Cambridge on the 16-2-18 after taking driving lessons with MR.L Driving School. 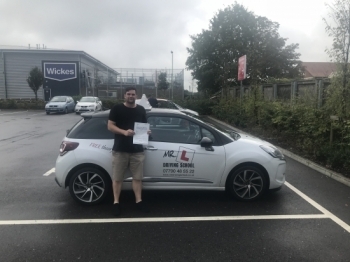 Congratulations to Adam Hill from Burwell who passed in Cambridge on the 7-2-18 after taking driving lessons with MR.L Driving School. 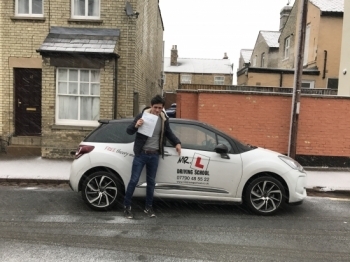 Congratulations to Mateusz Studencki from Newmarket who passed 1st time on the 6-2-18 in Cambridge after taking driving lessons with MR.L Driving School. 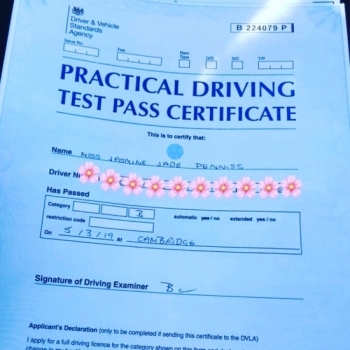 Congratulations to Cheshia who passed 1st time in Cambridge on the 1-2-18 after taking driving lessons with MR.L Driving School. 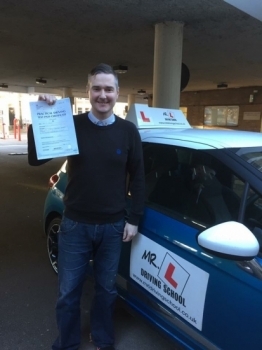 Congratulations to Bill Duffy from Cambridge who passed on the 31-1-18 after taking driving lessons with MR.L Driving School. 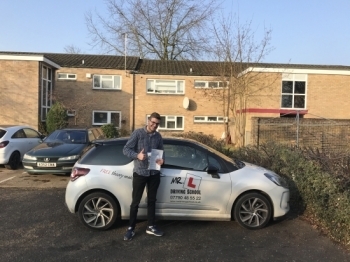 Congratulations to Dan Thacker from Waterbeach who passed his driving test in Cambridge on the 17-1-18 after taking lessons with MR.L Driving School. 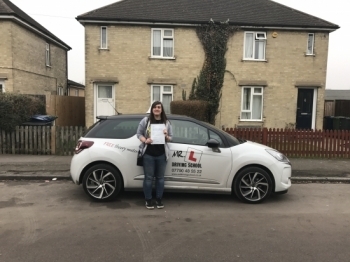 Congratulations to Lynsey Smith from Burwell who passed in Cambridge on the 17-1-18 after taking driving lessons with MR.L Driving School. 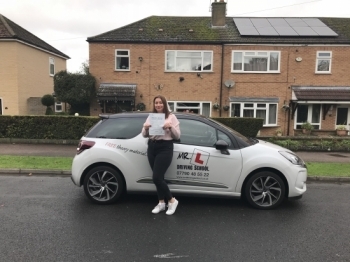 Congratulations to Tori Freestone who passed in Cambridge on the 3-1-18 after taking driving lessons with MR.L Driving School. 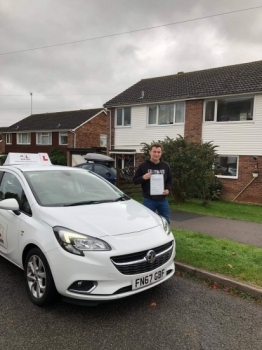 Congratulations to Ed Hughes from Dullingham who passed 1st time in Cambridge on the 20-12-18 after taking driving lessons with MR.L Driving School. 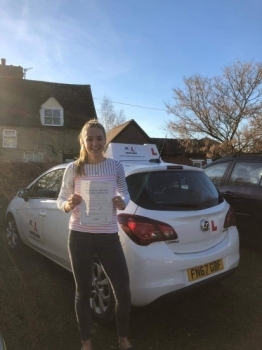 Congratulations to Nora from Dullingham who passed 1st time in Cambridge on the 19-12-18 after taking driving lessons with MR.L Driving School. Congratulations to Francisco Brahm from Cambridge who passed 1st time on the 18-12-17 after taking driving lessons with MR.L Driving School. 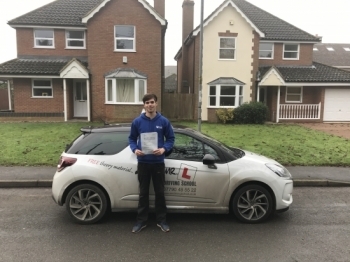 Congratulations to Todd Catchpole from Fulbourn who passed 1st time in Cambridge on the 15-12-17 after taking driving lessons with MR.L Driving School. 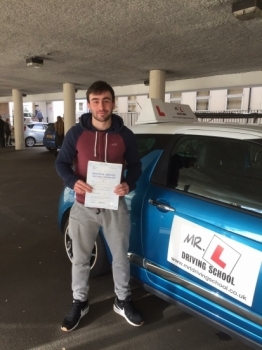 Congratulations to Lindon Sharpe from Cambridge who passed on the 14-12-17 after taking driving lessons with MR.L Driving School. Congratulations to Anu from Cambridge who passed on the 8-12-17 after taking driving lessons with MR.L Driving School. 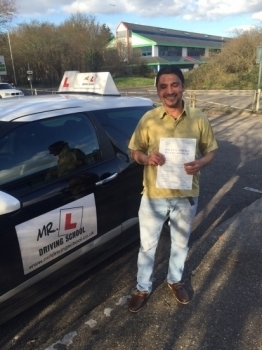 Having failed a few tests in N.Ireland we’re pleased to say Anu passed at his 1st attempt with us here. 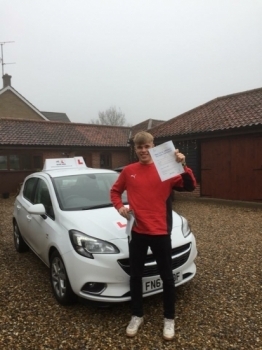 Congratulations to Sam Nicholas from Soham who passed his extended driving test at the 1st attempt in Cambridge on the 7-12-17 after taking driving lessons with MR.L Driving School. 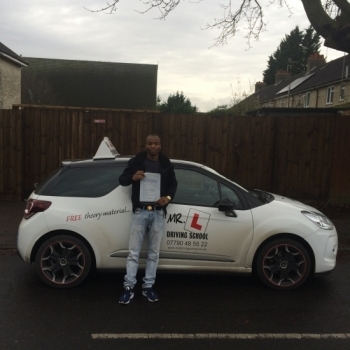 Congratulations to Daniel Topps from Newmarket who passed 1st time in Cambridge on the 2-12-17 after taking driving lessons with MR.L Driving School. 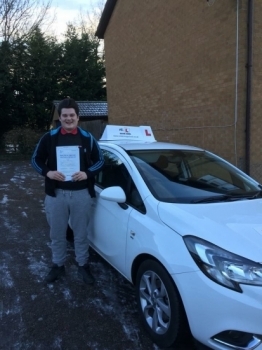 Congratulations to Daniel Smyth from Tuddenham who passed in Cambridge on the 1-12-17. 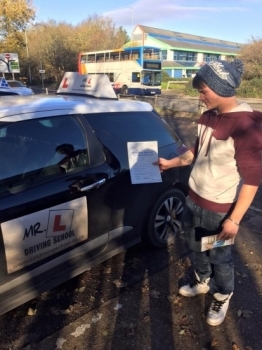 Dan came to us having failed his test previously with a different school. We’re are pleased to say Dan passed 1st time with us..
Congratulations to Tom from Ely who passed 1st time in Cambridge on the 29-11-17 after taking driving lessons with MR.L Driving School. 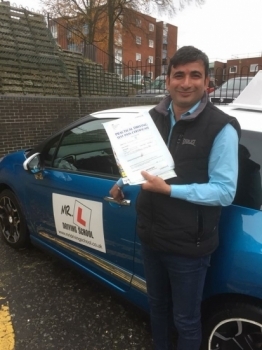 Congratulations to Gajendra Singh from Newmarket who passed with just 3df’s on the 16-11-17 in Cambridge after taking driving lessons with MR.L Driving School. 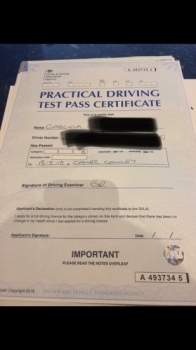 Congratulations to Gabriella from Girton who passed in Cambridge on the 10-11-17 after taking driving lessons with MR.L Driving School. 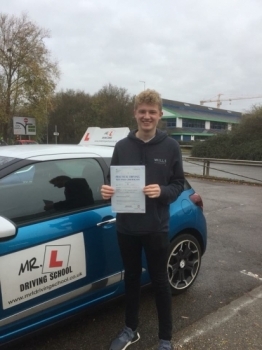 Congratulations to Matthew Buckley from Cambridge who passed 1st time in Cambridge on the 8-11-17 after taking driving lessons with MR.L Driving School. 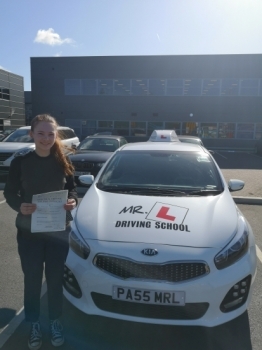 Congratulations to Shannon Mitchell from Newmarket who passed in Cambridge on the 30-10-17 after taking driving lessons with MR.L Driving School. 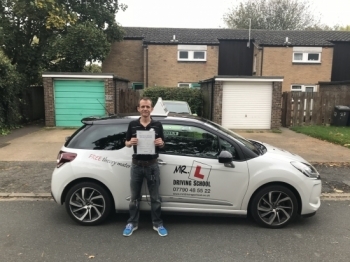 Congratulations to Ian Van-Eken from Newmarket who passed 1st time in Cambridge on the 25-10-17 after taking driving lessons with MR.L Driving School. 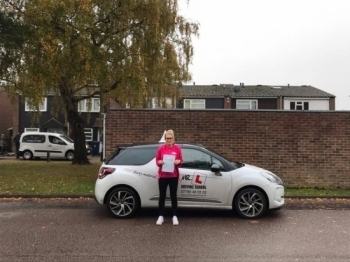 Congratulations to Lucy Simpson from Newmarket who passed 1st time in Cambridge on the 25-10-17 after taking driving lessons with MR.L Driving School. Congratulations to Cody Henry from Cambridge who passed on the 19-10-17. 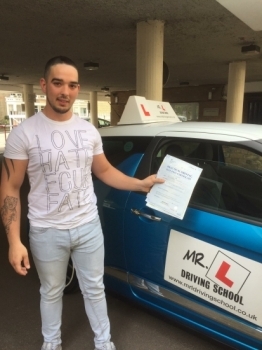 Having failed his test previously with a different driving school we’re pleased to say he passed at the 1st attempt using MR.L Driving School. 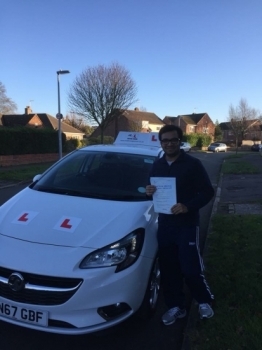 Congratulations to Ziggy Paulikas from Ely who passed 1st time in Cambridge on the 16-10-17 after taking driving lessons with MR.L Driving School. 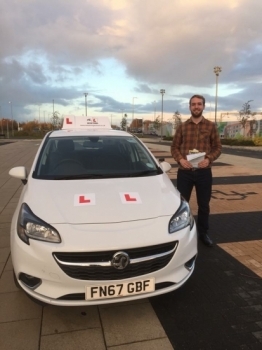 Congratulations to Stewart Summerlee from Cambridge who passed on the 13-10-17 after taking driving lessons with MR.L Driving School. 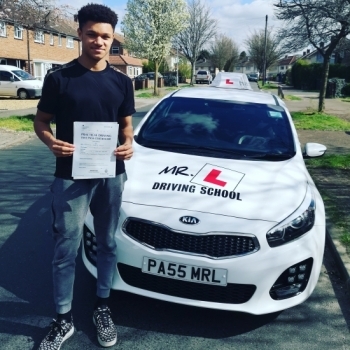 Congratulations to Korey Morris from Cambridge who passed 1st time on the 12-10-17 after taking driving lessons with MR.L Driving School. 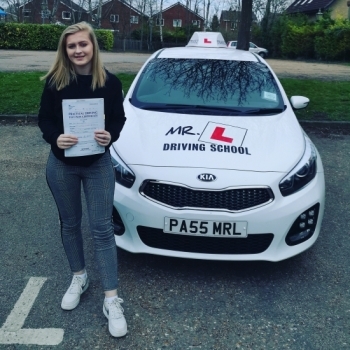 Congratulations to Katie Gearing from Newmarket who passed in Cambridge on the 12-10-17 after taking driving lessons with MR.L Driving School. 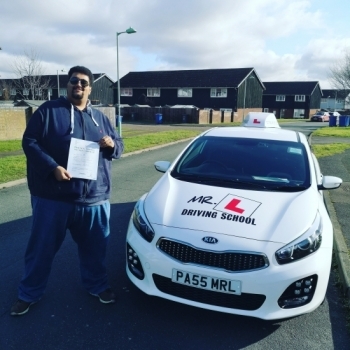 Congratulations to Osh Huhn from Cambridge who passed on the 11-10-17 after taking driving lessons with MR.L Driving School. 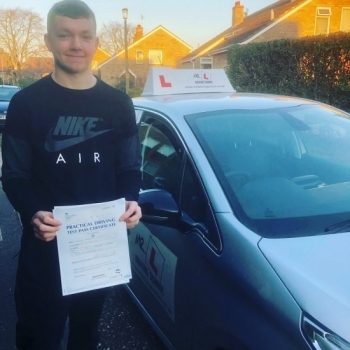 Congratulations to Josh Howells from Exning who passed 1st time in Cambridge on the 11-10-17 after taking driving lessons with MR.L Driving School. 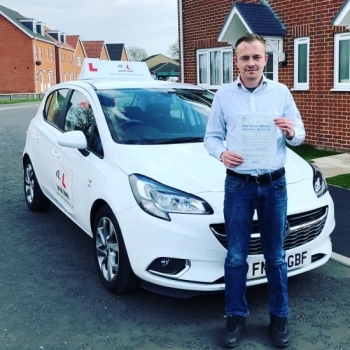 Congratulations to Ben Swygart from Ely who passed his driving test in Cambridge on the 6-10-17 after taking driving lessons with MR.L Driving School. 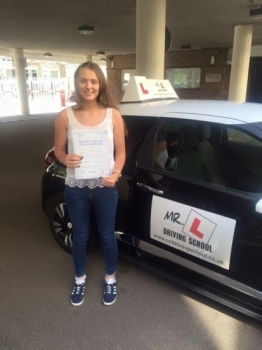 Congratulations to Georgia Trow from Newmarket who passed 1st time in Cambridge on the 28-9-17 after taking driving lessons with MR.L Driving School. Congratulations to Christopher Williams from Cambridge who passed 1st time on the 22-9-17 after taking driving lessons with MR.L Driving School. 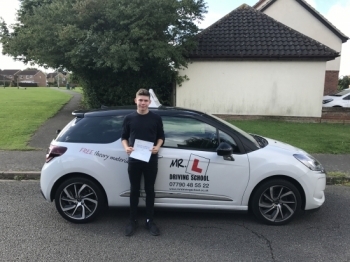 Congratulations to Callum Fordham from Exning who passed 1st time in Cambridge on the 15-9-17 after taking driving lessons with MR.L Driving School. 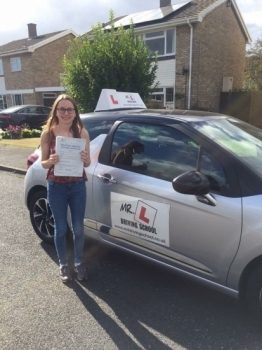 Congratulations to Hannah Sharplin from Bar Hill who passed 1st time in Cambridge with just 2 minor faults on the 25-8-17 after taking driving lessons with MR.L Driving School. 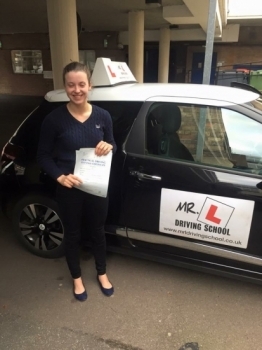 Congratulations to Claire Mead who passed in Cambridge on the 25-8-17 after taking driving lessons with MR.L Driving School. 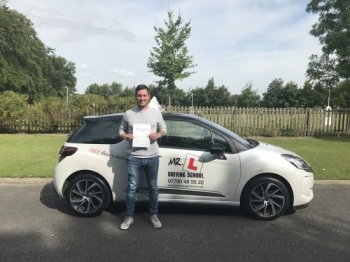 Congratulations to Toby Swann from Milton who passed 1st time in Cambridge on the 18-8-17 after taking driving lessons with MR.L Driving School. 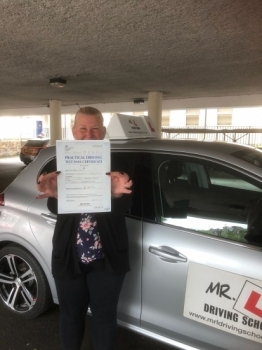 Congratulations to Susan Rees from Cambridge who passed on the 15-8-17 after taking driving lessons with MR.L Driving School. 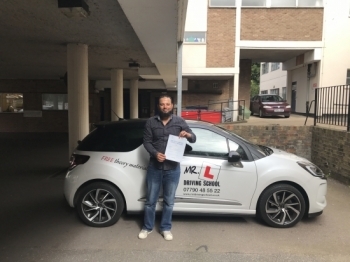 Congratulations to Steve King from Newmarket who passed 1st time in Cambridge on the 14-8-17 after taking driving lessons with MR.L Driving School. 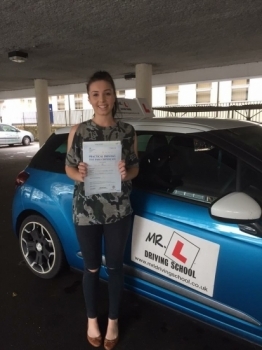 Congratulations to Jasmine Russell who passed in Cambridge on the 11-8-17 after taking driving lessons with MR.L Driving School. 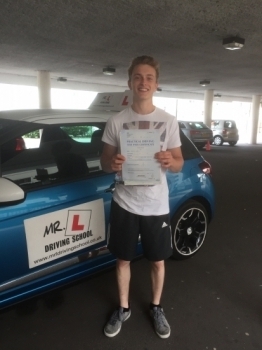 Congratulations to Will C Dunn from Cambridge who passed 1st time on the 10-8-17 after taking driving lessons with MR.L Driving School. 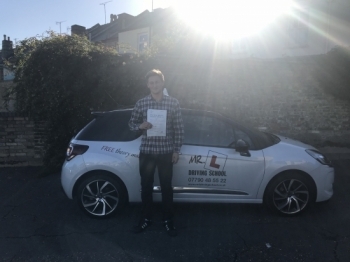 Congratulations to Jaco Waldeck from Exning who passed 1st time in Cambridge on the 9-8-17 after taking driving lessons with MR.L Driving School. 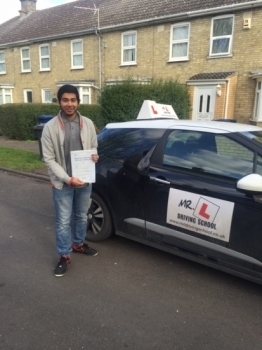 Congratulations to Kareem from Newmarket who passed 1st time in Cambridge on the 4-8-17 after taking driving lessons with MR.L Driving School. 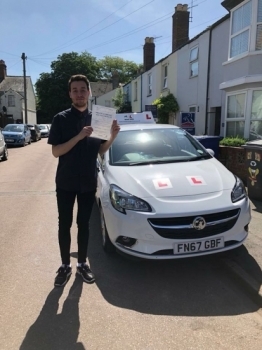 Congratulations to Frankie Stigwood from Cambridge who passed on the 31-7-17 with just 3 driving faults after taking driving lessons with MR.L Driving School. 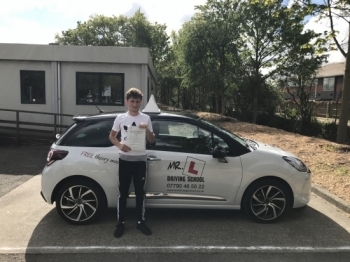 Congratulations to Charlie Jones from Cheveley who passed his driving test 1st time on the 21-7-17 in Cambridge after taking driving lessons with MR.L Driving School. 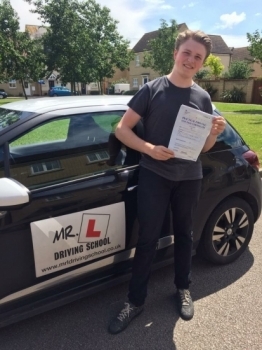 Congratulations to Bradly Pettitt from Newmarket who passed 1st time in Cambridge with just 2 minor faults on the 6-7-17 after taking driving lessons with MR.L Driving School. 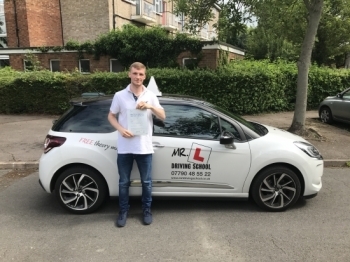 Congratulations to Shaun Leaman from Chevely who passed 1st time in Cambridge with just 2 minor faults on the 23-6-17 after taking driving lessons with MR.L Driving School. Congratulations to Matthew Cox from Cambridge who passed his test on the 12-6-17 after taking driving lessons with MR.L Driving School. 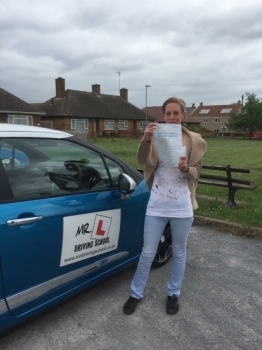 Congratulations to Theresa from Littleport who passed her driving test in Cambridge on the 5-6-17 after taking driving lessons with MR.L Driving School. 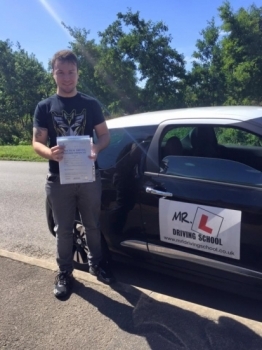 Congratulations to Jordan Riley from Newmarket who passed in Cambridge on the 16-5-17 after taking driving lessons with MR.L Driving School. 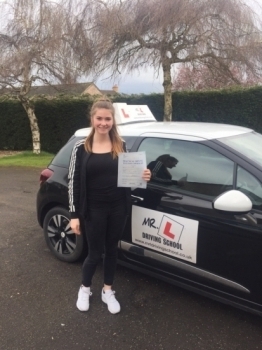 Congratulations to Abbie Jasmine-Young from Haddenham who passed 1st time in Cambridge on the 12-5-17 after taking driving lessons with MR.L Driving School. 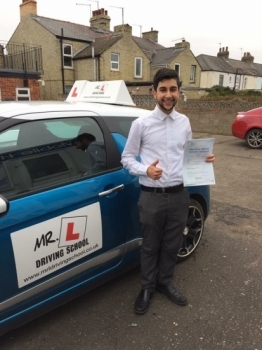 Congratulations to Alex Salajan from Newmarket who passed 1st time in Cambridge on the 5-5-17 after taking driving lessons with MR.L Driving School. 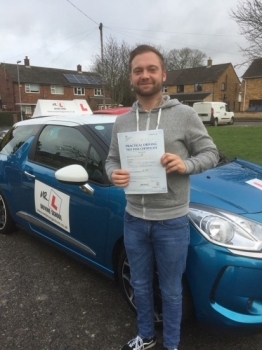 Congratulations to Dan Owen from Waterbeach who passed 1st time in Cambridge on the 3-5-17 after taking driving lessons with MR.L Driving School. 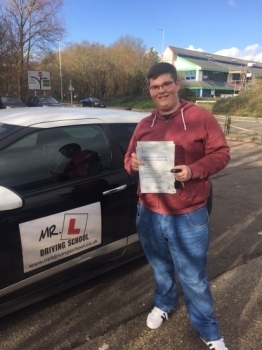 Congratulations to Rhys Souter who passed 1st time in Cambridge on the 18-4-17 after taking driving lessons with MR.L Driving School. 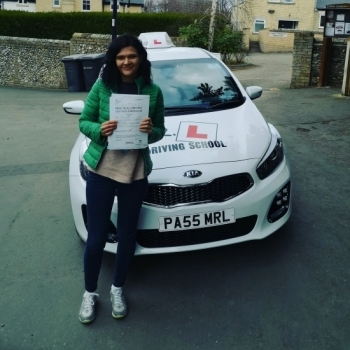 Congratulations to Aminna Harb who passed her driving test in Cambridge on the 6-4-17 after taking driving lessons with MR.L Driving School. 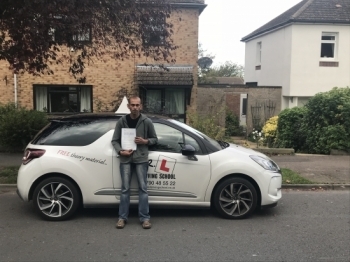 Congratulations to Victor from Newmarket who passed his test on the 22-3-17 in Cambridge after taking driving lessons with MR.L Driving School. 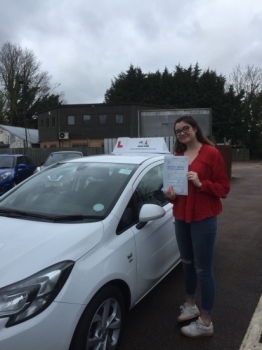 A HUGE well done to Paige Latimer from Haddenham who passed her driving test on the 17-3-17 in Cambridge with ZERO faults. 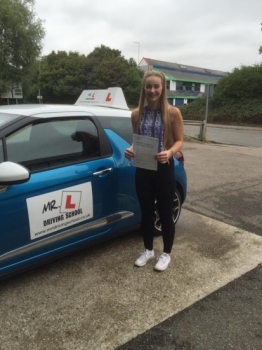 An amazing achievement for both Paige and her driving instructor Jayne Hardy. 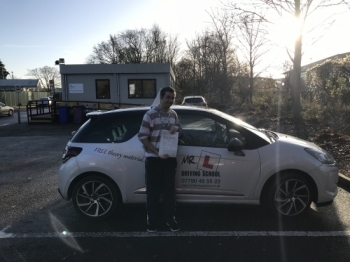 It´s not very often someone travels from Portugal to specifically use a driving instructor but that´s exactly what Andy did. 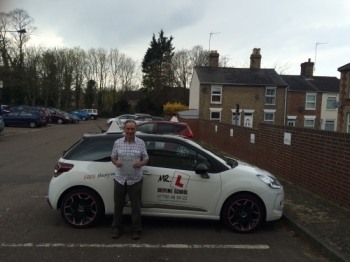 Andy passed in Cambridge on the 16-3-17 after taking driving lessons with MR.L Driving School. 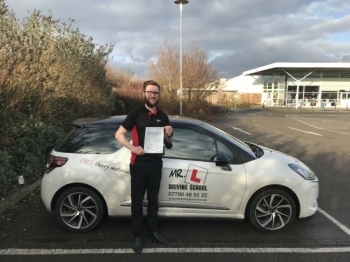 Congratulations to Adam Holland from Cambridge who passed 1st time on the 15-3-17 with just 2 driving faults after taking driving lessons with MR.L Driving School. 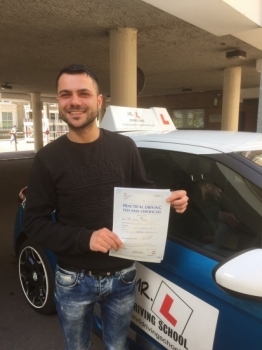 Congratulations to Gino from Cambridge who passed 1st time on the 24-2-17 after taking driving lessons with MR.L Driving School. 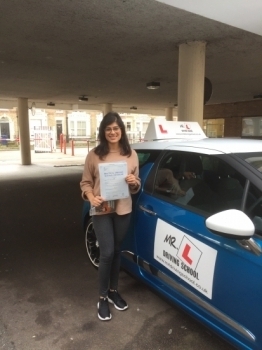 Congratulations to Alysha Pancholi from Newmarket who passed first time with only 2 minor faults in Cambridge on the 17-2-17 after taking driving lessons with MR.L Driving School. Congratulations to Kacper Płecha from Cambridge who passed 1st time on the 14-2-17 after taking driving lessons with MR.L Driving School. 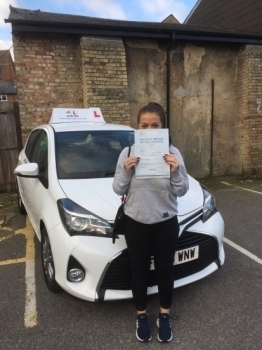 Congratulations to Jess from Newmarket who passed in Cambridge on the 10-2-17 after taking driving lessons with MR.L Driving School. Congratulations to Dani Sanchez from Cambridge who passed on the 9-2-17 after taking driving lessons with MR.L Driving School. 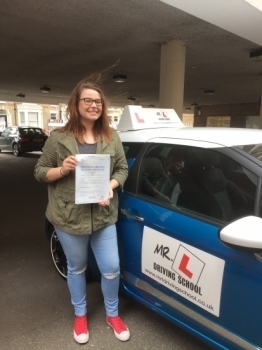 Congratulations to Amy Rosenburg from Ely who passed in Cambridge on the 8-2-17 with just 2 minor faults after taking driving lessons with MR.L Driving School. 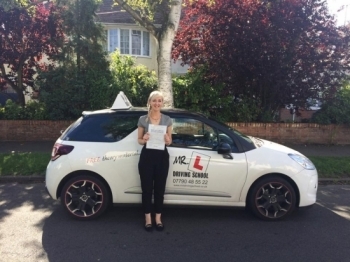 Congratulations to Fay Saunders from Cambridge who passed with just 2 minor faults on the 26-1-17 after taking driving lessons with MR.L Driving School. 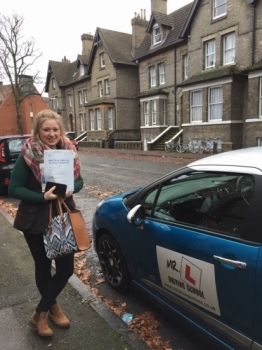 Congratulations to Emmeline Boreham from Ely who passed in Cambridge on the 16-1-17 after taking driving lessons with MR.L Driving School. 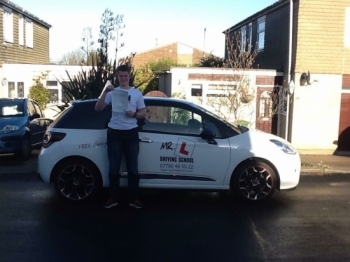 Congratulations to Sean Jackson from Newmarket. 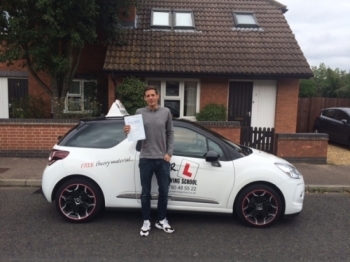 Having failed 8 times with other driving schools I´m chuffed to say Sean passed 1st time with us. 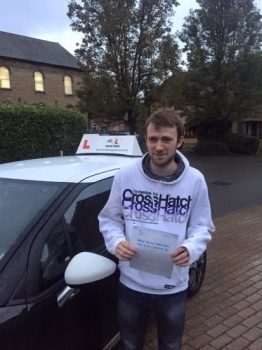 Sean passed in Cambridge on the 13-1-17 with just 4 minors. Congratulations to Hannah from Bar Hill who passed 1st time in Cambridge on the 11-1-17 after taking driving lessons with MR.L Driving School. 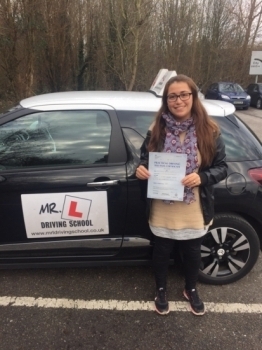 Congratulations to Charlotte from Newmarket who passed in Cambridge on the 9-1-17 after taking driving lessons with MR.L Driving School. 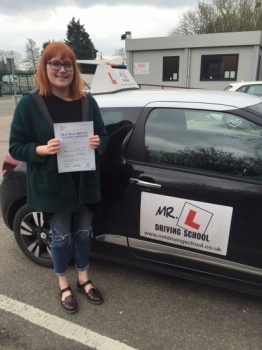 Congratulations to Jessica Savory from Fulbourn who passed in Cambridge on the 21-12-16 after taking driving lessons with MR.L Driving School. 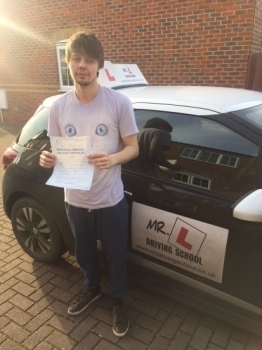 Congratulations to Jay Preston from Newmarket who passed his driving test 1st time in Cambridge on the 16-12-16 after taking driving lessons with MR.L Driving School. 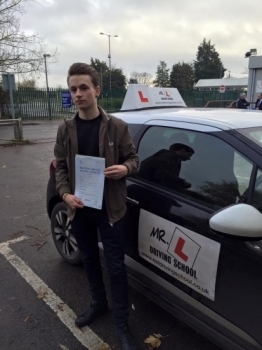 Congratulations to Jake Huggins from Newmarket who passed in Cambridge on the 15-12-16 after taking driving lessons with MR.L Driving School. 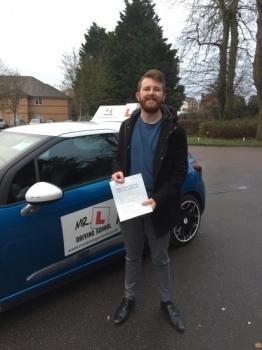 Congratulations to Geoff Redpath from Newmarket who passed in Cambridge on the 12-12-16 after taking driving lessons with MR.L Driving School. 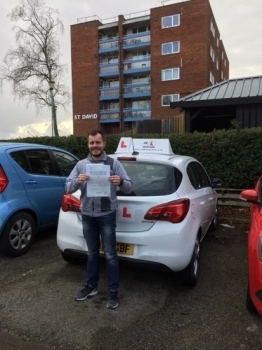 Congratulations to Jamed Doughty who passed his driving test 1st time in Cambridge on the 9-12-16 after a 40hr intensive course. 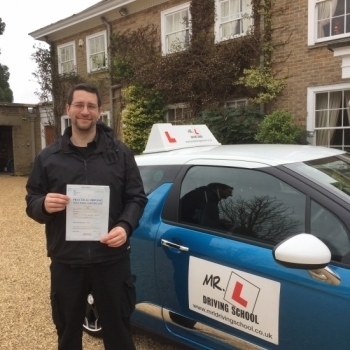 Congratulations to Paul Baker from Newmarket who passed in Cambridge on the 29-11-16 after taking driving lessons with MR.L Driving School. 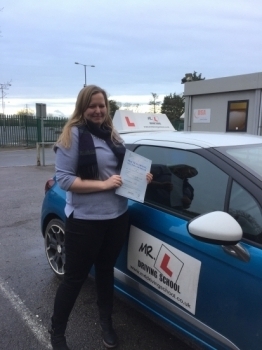 Congratulations to Lorna Harland from Sawston who passed in Cambridge on the 23-11-16 after taking driving lessons with MR.L Driving School. 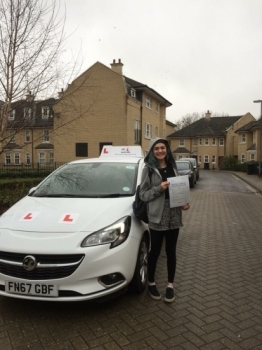 Congratulations to Xanthe Miller from Wilburton who passed 1st time in Cambridge on the 22-11-16 after taking driving lessons with MR.L Driving School. 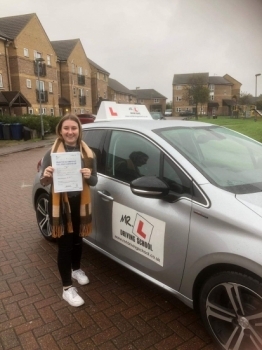 Congratulations to Carly Jacobs from Newmarket who passed 1st time in Cambridge on the 17-11-16 after taking driving lessons with MR.L Driving School. 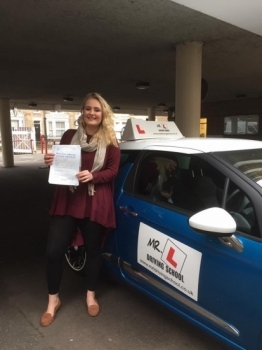 Congratulations to Jade London from Fordham who passed in Cambridge on the 10-11-16 after taking driving lessons with MR.L Driving School. 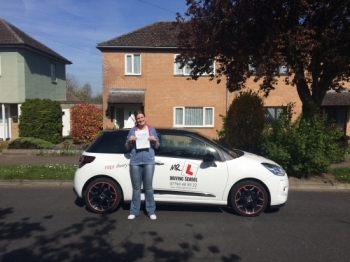 Congratulations to Steph who passed 1st time in Cambridge on the 9-11-16 after taking driving lessons with MR.L Driving School. 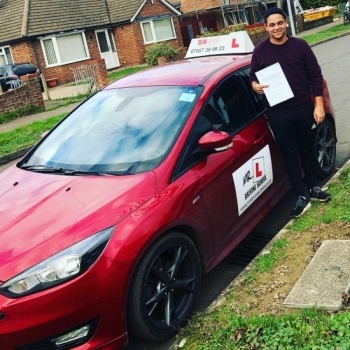 Congratulations to Rich Garcia from Isleham who passed 1st time in Cambridge on the 11-10-16 after taking driving lessons with MR.L Driving School. 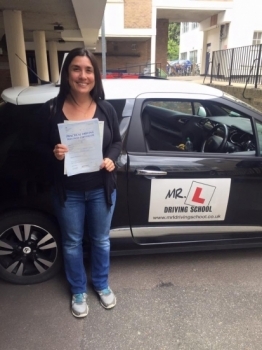 Congratulations to Vicky Kidd from Streatham who passed 1st time in Cambridge on the 6-10-16 after taking driving lessons with MR.L Driving School. 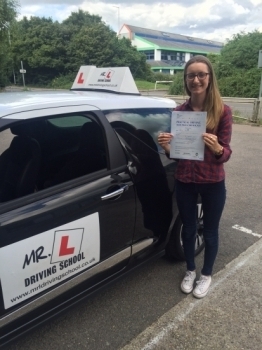 Congratulations to Laura who passed in Cambridge on the 25-9-16 after taking driving lessons with MR.L Driving School. 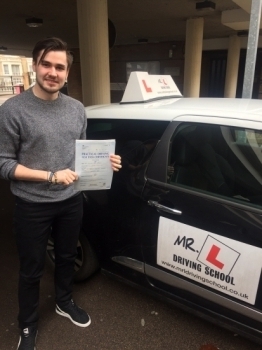 Congratulations to James Shevlin who passed in Cambridge on the 16-9-16 after taking driving lessons with MR.L Driving School. 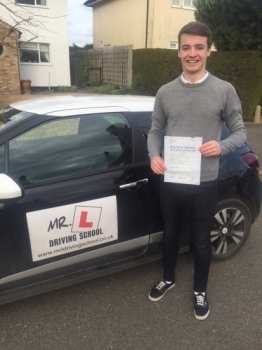 Congratulations to Jack Mears from Mildenhall who passed in Cambridge on the 9-9-16 after taking driving lessons with MR.L Driving School. 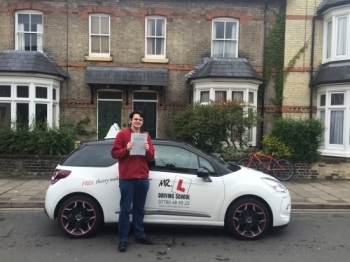 Congratulations to Chris from Newmarket who passed 1st time in Cambridge on the 9-9-16 after taking driving lessons with MR.L Driving School. 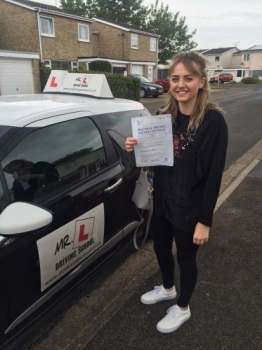 Congratulations to Ella Cooper from Isleham who passed in Cambridge on the 8-9-16 after taking driving lessons with MR.L Driving School. 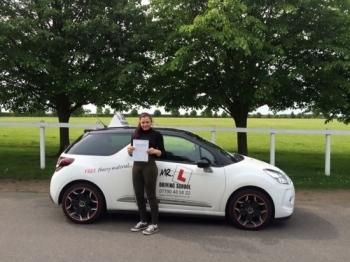 Congratulations to Rosie Hazelwood from Newmarket who passed 1st time in Cambridge on the 5-9-16 after taking driving lessons with MR.L Driving School. Congratulations to Kavitha from Cambridge who passed 1st time on the 4-9-16 after taking driving lessons with MR.L Driving School. 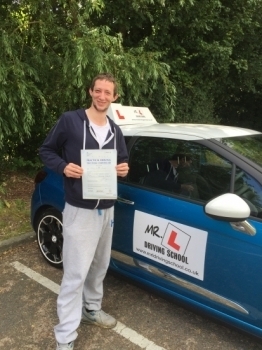 Congratulations to Tim Weaving from Ely who passed 1st time in Cambridge on the 2-9-16 after taking driving lessons with MR.L Driving School. 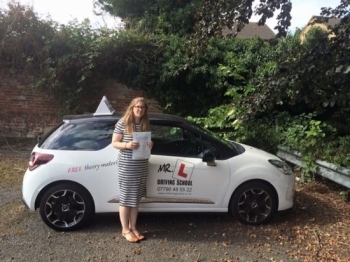 Congratulations to Lauren Overy from Soham who passed 1st time in Cambridge on the 31-8-16 after taking driving lessons with MR.L Driving School. 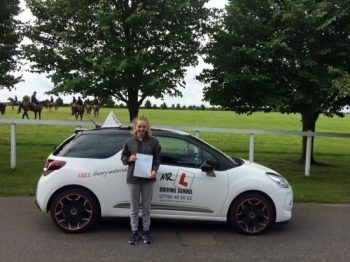 Congratulations to Erin Marley from Newmarket who passed in Cambridge on the 28-8-16 after taking driving lessons with MR.L Driving School. 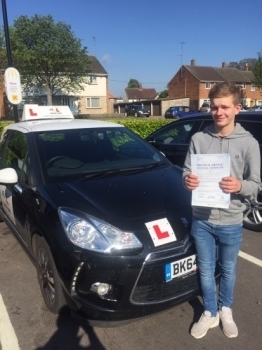 Congratulations to Jordan Blyth from Cambridge who passed 1st time on the 24-8-16 after taking driving lessons with MR.L Driving School. 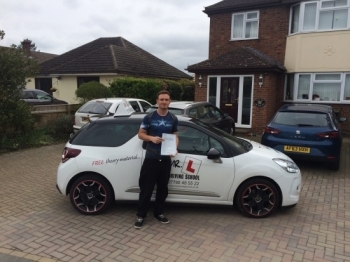 Congratulations to Lee from Newmarket who passed 1st time in Cambridge on the 22-8-16 after taking driving lessons with MR.L Driving School. 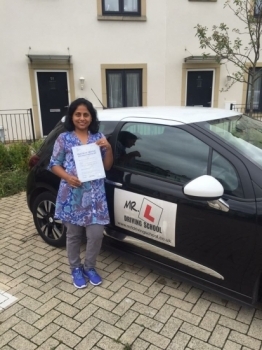 Congratulations to Jini Thomas from Cherry Hinton who passed in Cambridge on the 16-8-16 after taking driving lessons with MR.L Driving School. 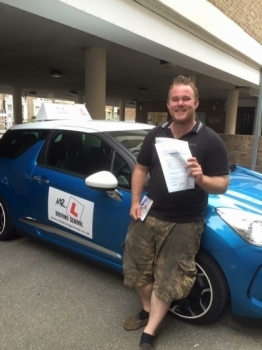 Congratulations to Kirk from Soham who passed 1st time in Cambridge on the 9-8-16 after taking driving lessons with MR.L Driving School. 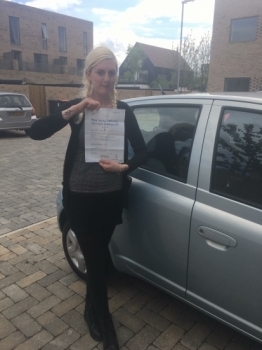 Congratulations to Marina from St.Ives who passed 1st time in Cambridge on the 8-8-16 after taking driving lessons with MR.L Driving School. 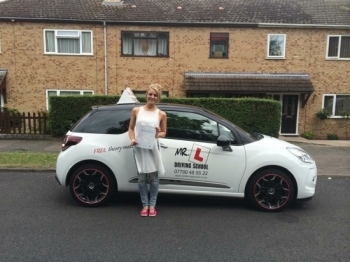 Congratulations to Kristin from Soham who passed in Cambridge on the 2-8-16. 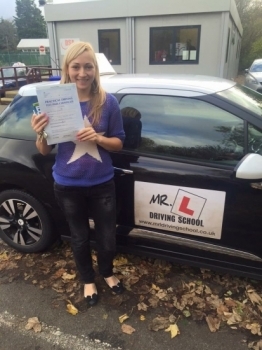 Having failed previously with another driving school Kristin passed at the 1st attempt with MR.L Driving School. 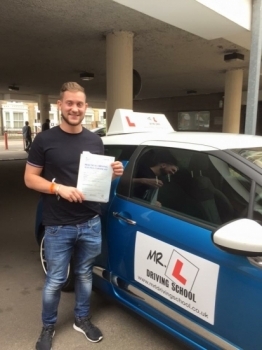 Congratulations to Dan Webb from Over who passed in Cambridge on the 31-7-16 after taking driving lessons with MR.L Driving School. 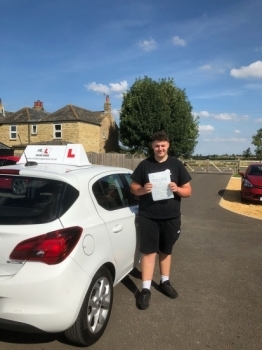 Congratulations to Thomas from Hardwick who passed 1st time in Cambridge on the 15-7-16 after taking driving lessons with MR.L Driving School. 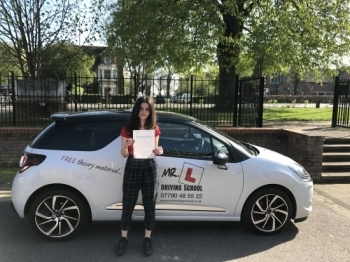 Congratulations to Elsa Rees from Cambridge who passed 1st time and with ZERO faults on the 14-7-16 after taking driving lessons with MR.L Driving School. 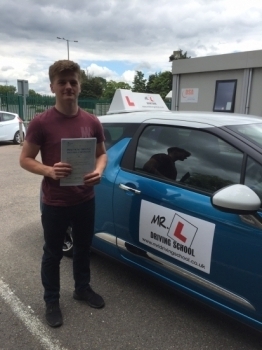 Congratulations to Lewis from Ely who passed in Cambridge on the 13-7-16 after taking driving lessons with MR.L Driving School. 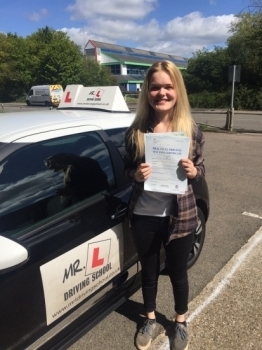 Congratulations to Summer from Cambridge who passed on the 12-7-16 after taking driving lessons with MR.L Driving School. 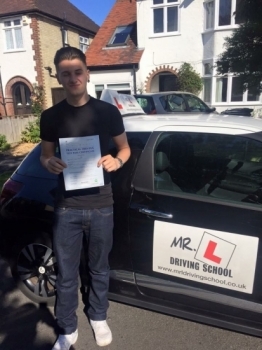 Congratulations to Elliot from Newmarket who passed in Cambridge on the 10-7-16 after taking driving lessons with MR.L Driving School. 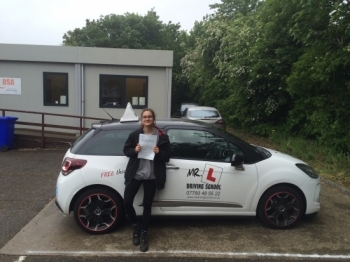 Congratulations to Kira from Haddenham who passed 1st time on the 8-7-16 in Cambridge after taking driving lessons with MR.L Driving School. 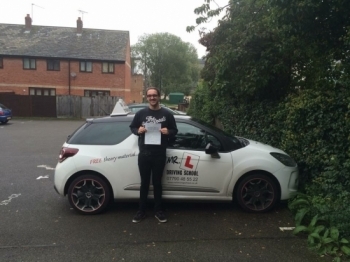 Congratulations to Jared from Burwell who passed in Cambridge on the 5-7-16 after taking driving lessons with MR.L Driving School. 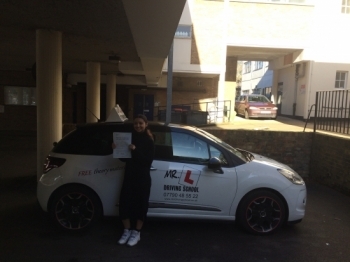 Congratulations to Celine from Soham who passed 1st time in Cambridge on the 5-7-16 after taking driving lessons with MR.L Driving School. 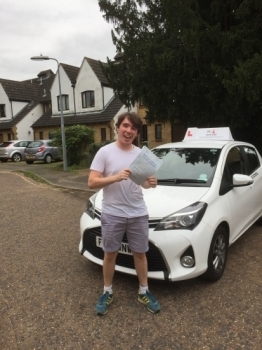 Congratulations to James from Ely who passed 1st time in Cambridge on the 5-7-16 after taking driving lessons with MR.L Driving School. 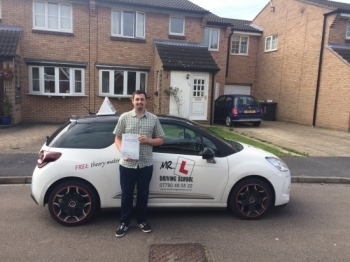 Congratulations to Chris from Sawston who passed in Cambridge on the 4-7-16 after taking driving lessons with MR.L Driving School. 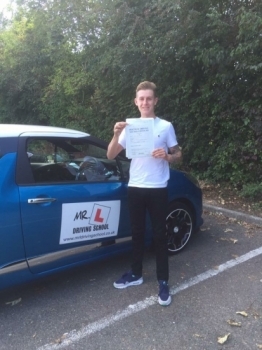 Congratulations to Jack from Haddenham who passed in Cambridge on the 1-7-16 after taking driving lessons with MR.L Driving School. 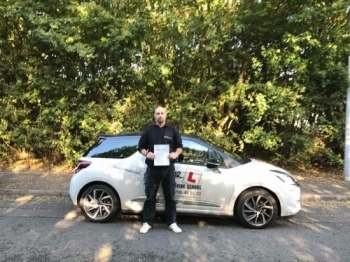 Congratulations to Alex from Godmanchester who passed 1st time in Cambridge on the 30-6-16 after completing a one week course with MR.L Driving School. 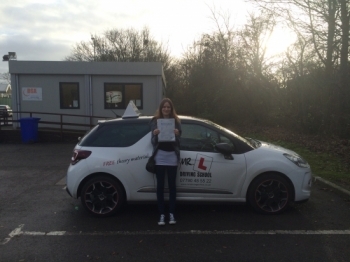 Congratulations to Charlotte from Newmarket. 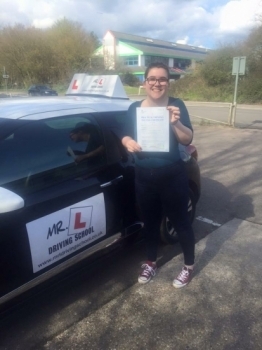 Having failed previously with a different driving school, Charlotte successfully passed at the 1st attempt with MR.L Driving school on the 29-6-16 in Bury St Edmunds. 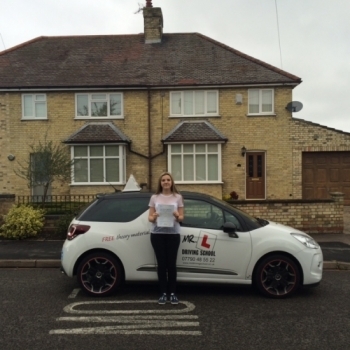 Congratulations to Chloe from Newmarket! 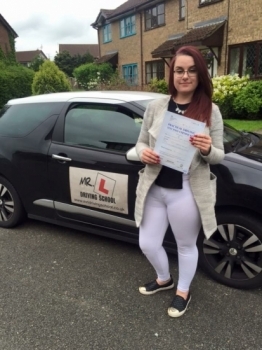 Having failed recently with another driving school Chloe passed 1st time with us in Cambridge on the 20-6-16. 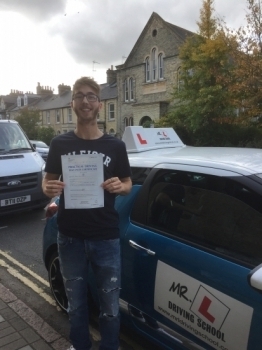 Congratulations to Max d´souza from st Ives who passed 1st time with us in Cambridge on the 17-6-16 after a one week intensive course. 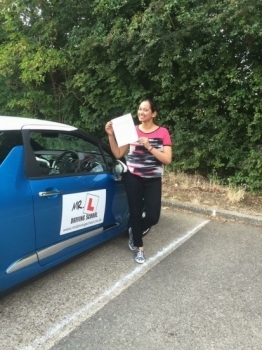 Congratulations to Jasmine from Newmarket who having failed 4 times previously with another school passed 1st time with MR.L Driving School on the 10-6-16 in Cambridge. 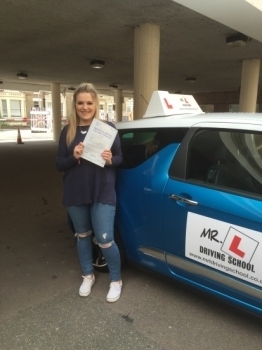 Congratulations to Sophie Day from Cambridge who passed first time on the 6-6-16 after taking driving lessons with MR.L Driving School. 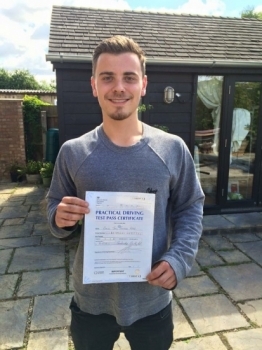 Congratulations to Saxon from Cambridge who passed on the 2-6-16 after taking driving lessons with MR.L Driving School. 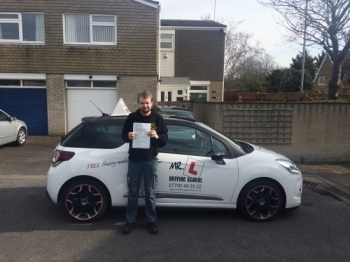 Congratulations to Aaron from Newmarket who passed 1st time in Cambridge on the 1-6-16 after taking driving lessons with MR.L Driving School. 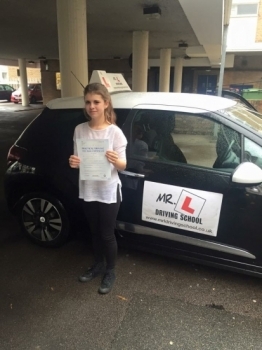 Congratulations to Natalya Jejna from Huntingdon who passed in Cambridge on the 26-5-16 after taking driving lessons with MR.L Driving School. Congratulations to Maria from Cambridge who passed 1st time on the 25-5-16 after taking driving lessons with MR.L Driving School. 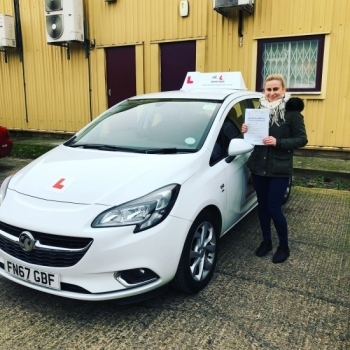 Congratulations to Laura from Littleport who passed 1st time in Cambridge on the 18-5-16 after taking driving lessons with MR.L Driving School. 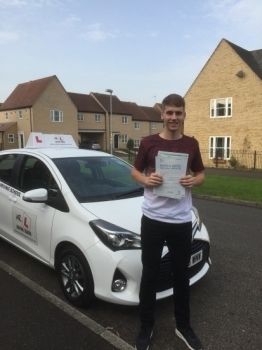 Congratulations to Hayden from Witchford who passed 1st time in Cambridge on the 17-5-16 after taking driving lessons with MR.L Driving School. 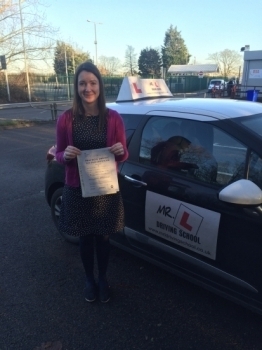 Congratulations to Clare from Newmarket who passed 1st time in Cambridge on the 5-5-16 after taking driving lessons with MR.L Driving School. 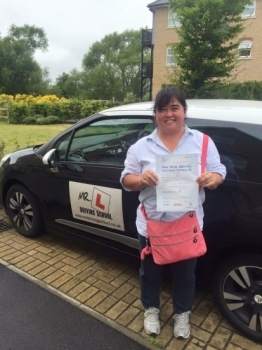 Congratulations to Louise from Newmarket who passed 1st time in Cambridge on the 4-5-16 after taking driving lessons with MR.L Driving School. 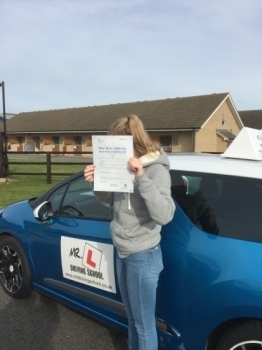 Congratulations to Aaliyah Plattern from Ely who passed first time in Cambridge on the 3-5-16 after taking driving lessons with MR.L Driving School. 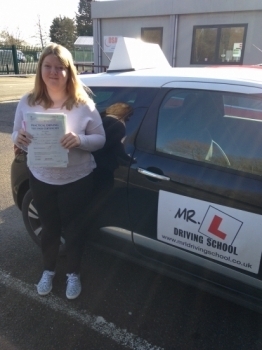 Congratulations to Renee from Ely who passed 1st time in Cambridge on the 3-5-16 after taking driving lessons with MR.L Driving School. 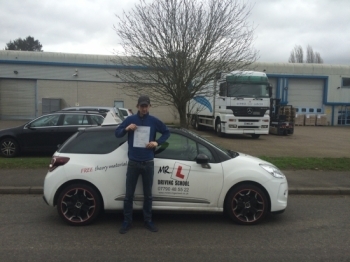 Congratulations to Ben Buckberry who passed in Peterborough on the 27-4-16 after taking driving lessons with MR.L Driving School. 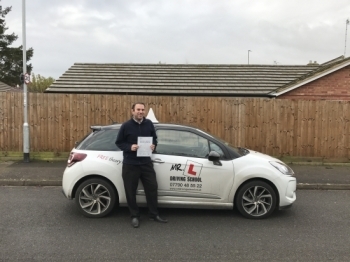 Congratulations to James Bursford from Burwell who passed 1st time in Bury St Edmunds on the 22-4-16 after taking driving lessons with MR.L Driving School. 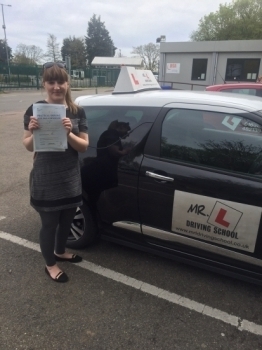 Congratulations to Jemma Gordon from Soham who passed 1st time in Cambridge on the 21-4-16 after taking driving lessons with MR.L Driving School. 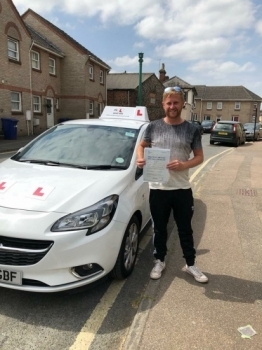 Congratulations to Len Smith from Newmarket who successfully regained his full driving licence after passing the extended driving test at the 1st attempt in Bury St Edmunds on the 14-4-16. 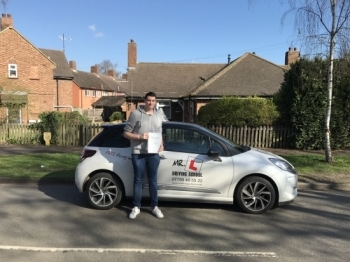 Congratulations to Simon Tyler from Caldecote who passed 1st time in Cambridge on the 13-4-16 after taking driving lessons with MR.L Driving School. 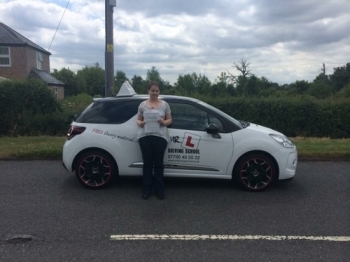 Congratulations to Erin Dolan from Haddenham who passed 1st time in Cambridge on the 6-4-16 after taking driving lessons with MR.L Driving School. 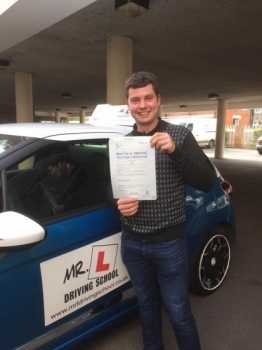 Congratulations to David from Bar Hill who passed in Cambridge on the 1-4-16 after taking driving lessons with MR.L Driving School. 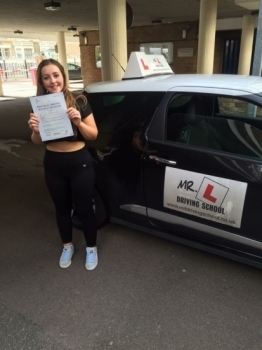 Congratulations to Mia Turner from Ely who passed in Cambridge on the 30-3-16 after taking driving lessons with MR.L Driving School. 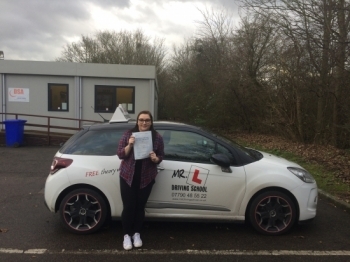 Congratulations to Codie Butcher from Littleport who passed 1st time on the 16-3-16 after taking driving lessons with MR.L Driving School. 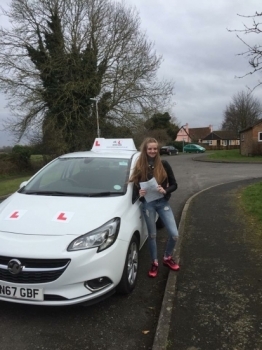 Congratulations to Lillie Neill from Ely who passed 1st time in Cambridge on the 15-3-16 after taking driving lessons with MR.L Driving School. 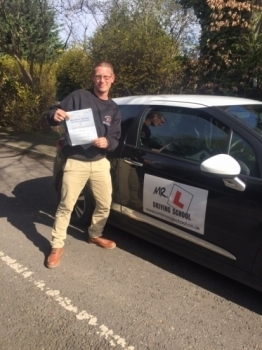 Congratulations to Billy Pridgeon from Bar Hill who passed 1st time in Cambridge on the 10-3-16 after taking driving lessons with MR.L Driving School. 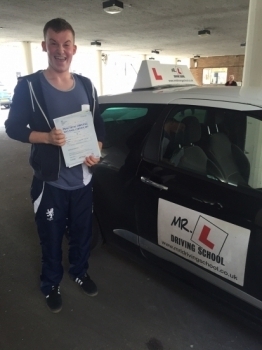 Congratulations to Lil Scott from Cambridge who passed 1st time on the 10-3-16 after taking driving lessons with MR.L Driving School. 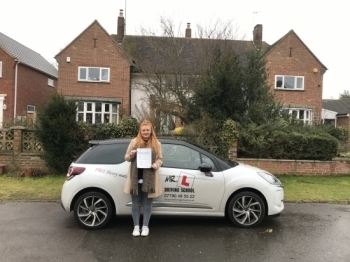 Congratulations to Emily from Longstanton who passed 1st time in Cambridge on the 9-3-16 after taking driving lessons with MR.L Driving School. 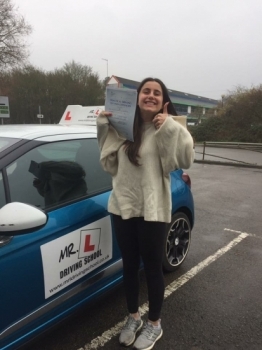 Congratulations to Estefania Lopez from Ely who passed 1st time in Cambridge on the 8-3-16 after taking driving lessons with MR.L Driving School. 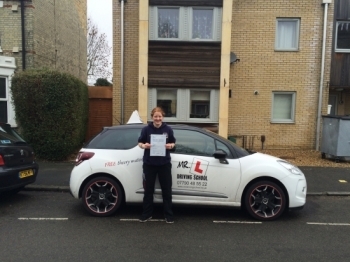 Congratulations to Fay from Littleport who passed 1st time in Cambridge on the 7-3-16 after taking driving lessons with MR.L Driving School. 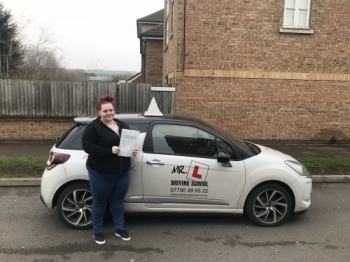 Congratulations to Rhiyana Thompson from Newmarket who passed 1st time in Cambridge on the 4-3-16 after taking driving lessons with MR.L Driving School. 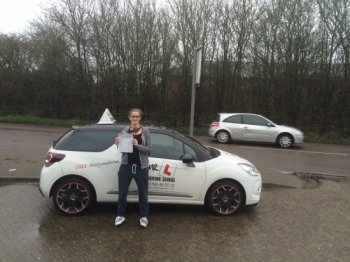 Congratulations to Ash Clark from Soham who passed 1st time in Cambridge on the 3-3-16 after taking driving lessons with MR.L Driving School. 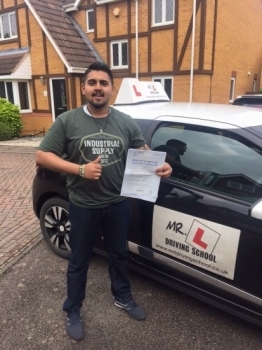 Congratulations to Rayhan Gani from Cambridge who passed on the 24-2-16 after taking driving lessons with MR.L Driving School. 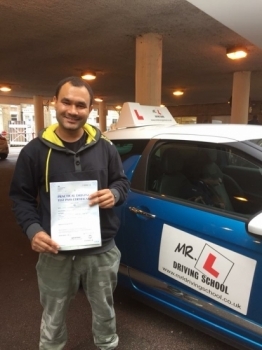 Congratulations to Victor from Cambridge who passed on the 22-2-16 after taking driving lessons with MR.L Driving School. 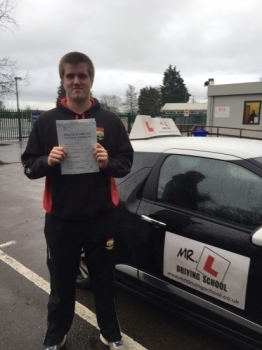 Congratulations to Jake Alsop from Haddenham who passed in Cambridge on the 19-2-16 after taking driving lessons with MR.L Driving School. 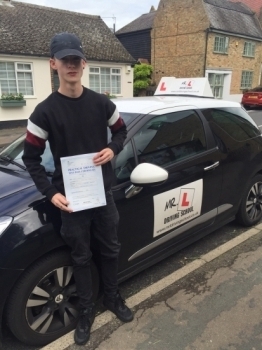 Congratulations to Lewis Gillings who passed 1st time in Cambridge on the 15-2-16 after taking driving lessons with MR.L Driving School. 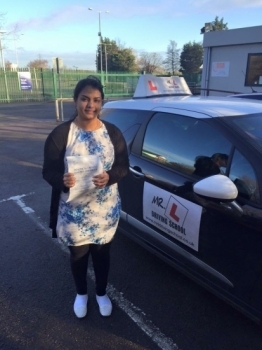 Congratulations to Nava Raj from Cambridge who passed on the 11-2-16 after taking driving lessons with MR.L Driving School. 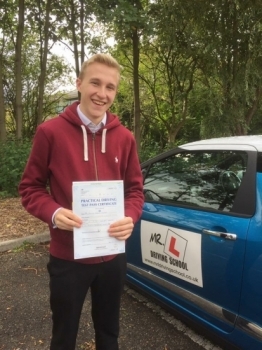 Congratulations to Harry Robinson from Cambridge who passed 1st time on the 10-2-16 after taking driving lessons with MR.L Driving School. 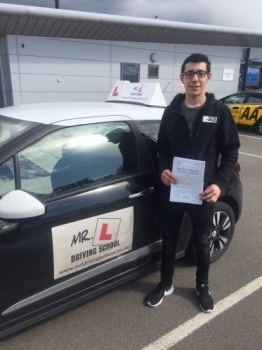 Congratulations to Sam Gooby from Sutton who passed 1st time in Cambridge on the 9-2-16 after taking driving lessons with MR. L Driving School. 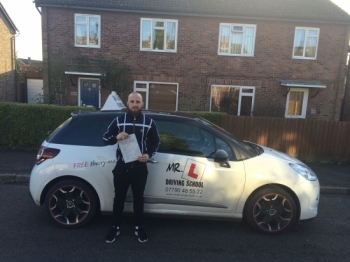 Congratulations to Jamie from Stretham who passed 1st time in Cambridge on the 4-2-16 after taking driving lessons at MR.L Driving School. 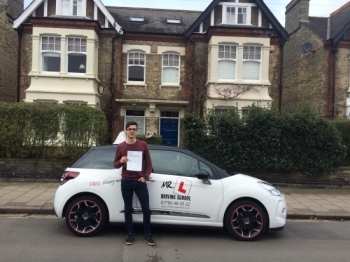 Congratulations to Michael from Newmarket who passed 1st time in Cambridge on the 29-1-16 after taking driving lessons with MR.L Driving School. 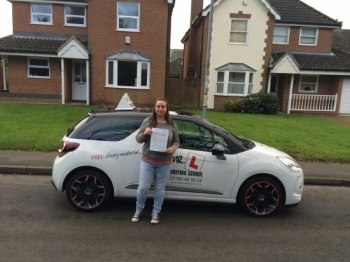 Congratulations to Jade Whippy from Ashley who passed in Cambridge on the 21-1-16 after taking driving lessons with MR.L Driving School. 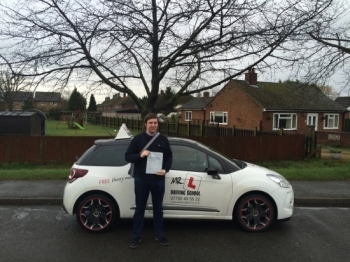 Congratulations to Jonathan Price from Buckden who passed 1st time in Cambridge on the 21-1-16 after taking driving lessons with MR.L Driving School. 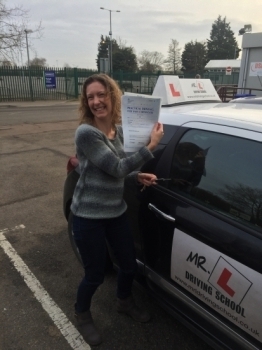 Congratulations to Janine from Cambridge who passed 1st time on the 18-1-16 after taking driving lessons with MR.L Driving School. 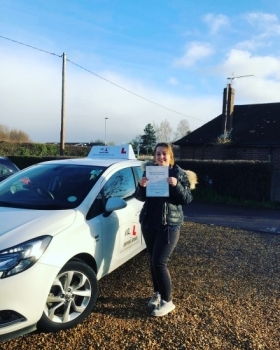 Congratulations to Hannah Vincent from Ely who passed 1st time in Cambridge on the 15-1-16 after taking driving lessons with MR.L Driving School. 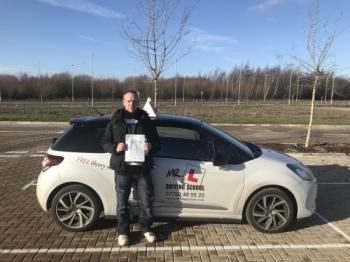 Congratulations to Alan Gregory from Ely who passed 1st time in Cambridge on the 11-1-16 after taking driving lessons with MR.L Driving School. Congratulations to Preethi Suresh from Cambridge who passed 1st time on the 8-1-16 after taking driving lessons with MR.L Driving School. 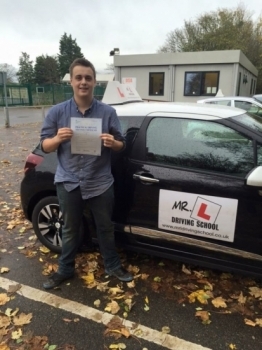 Congratulations to Rogan from Cambridge who passed on the 23-12-15 after taking driving lessons with MR.L Driving School. 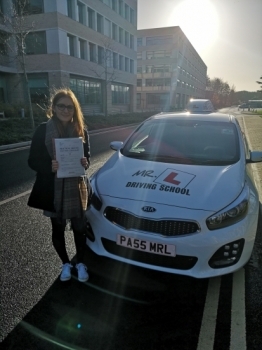 Congratulations to Danielle from Newmarket who passed 1st time in Cambridge on the 22-12-15 after taking driving lessons with MR.L Driving School. 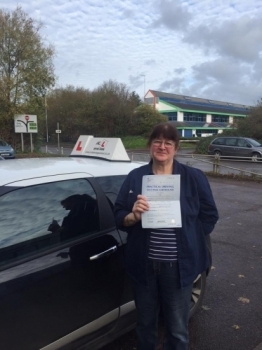 Congratulations to Jackie from Cambridge who passed 1st time on the 18-12-15 after taking driving lessons with MR.L Driving School. 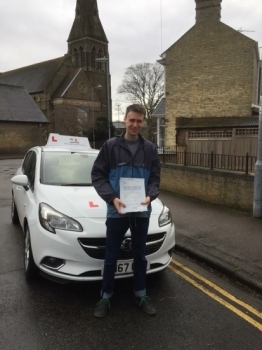 Congratulations to Stephen from Newmarket who passed 1st time in Cambridge on the 17-12-15 after taking driving lessons with MR.L Driving School. 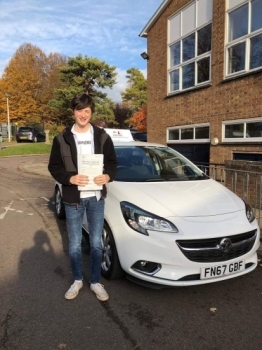 Congratulations to Callum from St. Ives who passed 1st time in Cambridge on the 2-12-15 after taking driving lessons with MR.L Driving School. 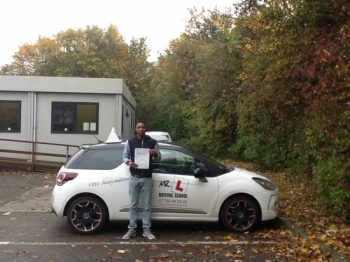 Congratulations to Charles from Longstanton who passed 1st time in Cambridge on the 27-11-15 after completing a 40hr intensive course with MR.L Driving School. 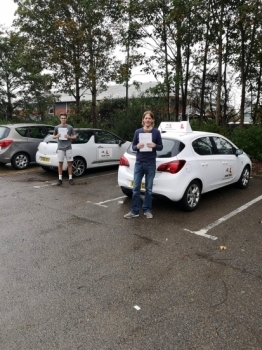 Congratulations to Pauline Fiebig from Soham who passed 1st time in Cambridge on the 25-11-15 after taking driving lessons with MR.L Driving School. 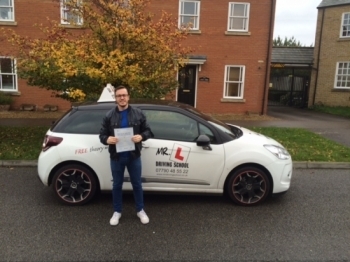 Congratulations to Ben Chapman from Ramsey who passed on the 24-11-15 in Peterborough after taking driving lessons with MR.L Driving School. 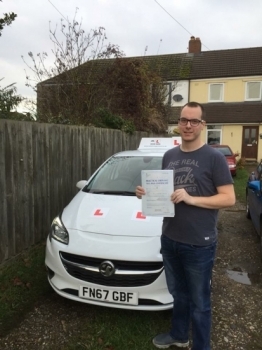 Congratulations to Richard Barker who passed 1st time in Cambridge on the 24-11-15 after taking driving lessons with MR.L Driving School. 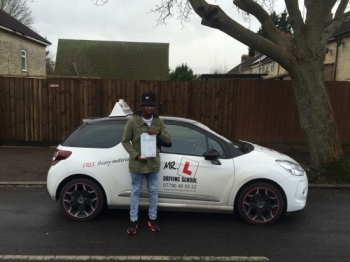 Congratulations to Dace Suduka from Waterbeach who passed 1st time in Cambridge on the 16-11-15 after taking driving lessons with MR.L Driving School. 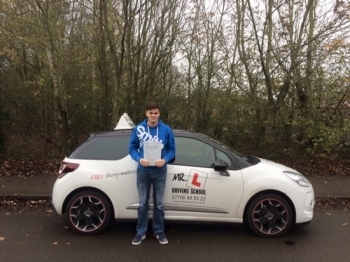 Congratulations to Ryan Sheridan from Bar Hill who passed 1st time in Cambridge on the 13-11-15 after taking driving lessons with MR.L Driving School. 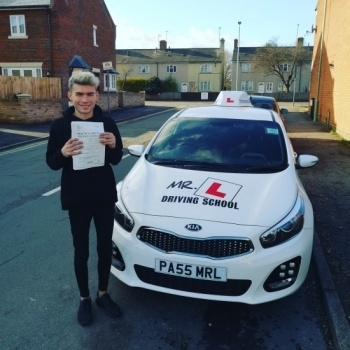 Congratulations to Jarrad Rippin from Aldreth near Ely, who passed 1st time in Cambridge on the 13-11-15 after taking driving lessons with MR.L Driving School. 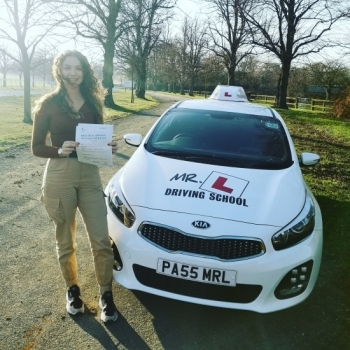 Congratulations to Georgia Smith from Newmarket who passed 1st time in Cambridge on the 12-11-15 after taking driving lessons with MR.L Driving School. 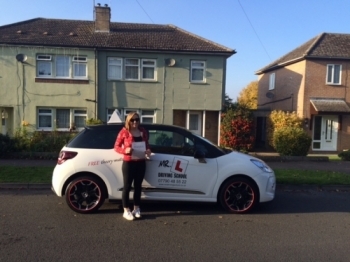 Congratulations to Rhianne Thresh from Huntingdon who passed 1st time in Cambridge on the 4-11-15 after taking driving lessons with MR.L Driving School. Congratulations to Andrew from Newmarket. 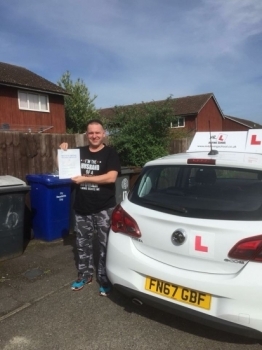 Having failed previously using another driving school Andrew passed on the 1st time of asking with MR. L Driving School. Andrew passed in Cambridge on the 2-11-15. 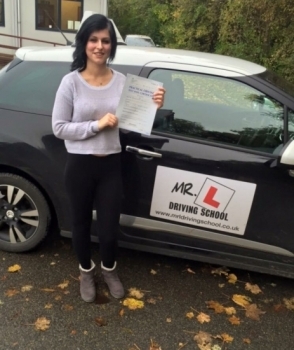 Congratulations to Pamela Jablonska from Ely who passed in Cambridge on the 30-10-15 after taking driving lessons with MR.L Driving School. 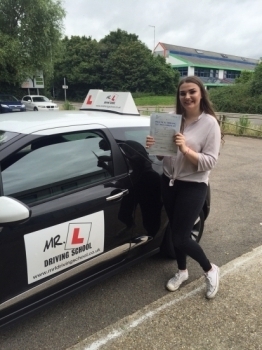 Congratulations to Immy Harris from Newmarket who passed 1st time in Cambridge on the 26-10-15 after taking driving lessons at MR.L Driving School. 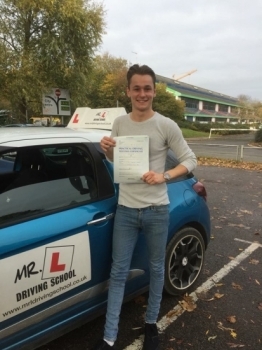 Congratulations to Ben Hallewell from Ely who passed in Cambridge on the 19-10-15 after taking driving lessons with MR.L Driving School. 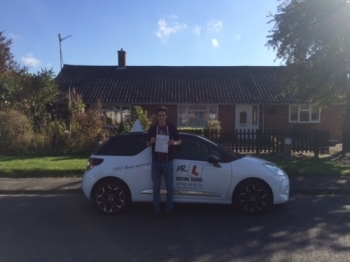 Congratulations to Sam Boseley who passed 1st time in Bury St Edmunds on the 7-10-15 after taking driving lessons with MR.L Driving School. 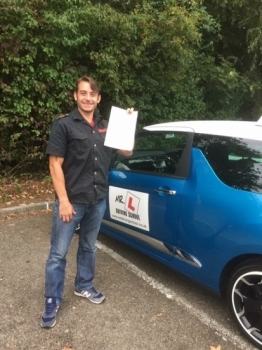 Congratulations to Marc from Burwell who passed in Cambridge on the 30-9-15 after taking driving lessons with MR.L Driving School. 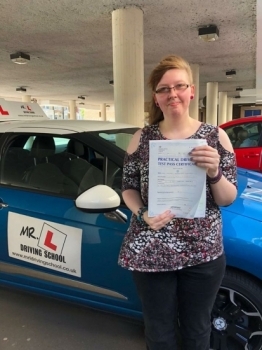 Congratulations to Anelisha Scott from Ely who passed 1st time in Cambridge on the 25-9-15 after taking driving lessons with MR.L Driving School. 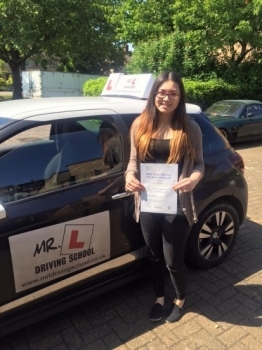 Congratulations to Mia from Cambridge who passed 1st time on the 22-9-15 after taking driving lessons at MR. L Driving School. 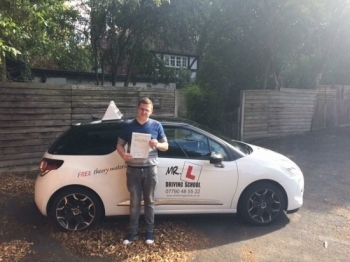 Congratulations to Jamie from Newmarket who passed 1st time in Cambridge on the 8-9-15 after taking driving lessons with MR. L Driving School. 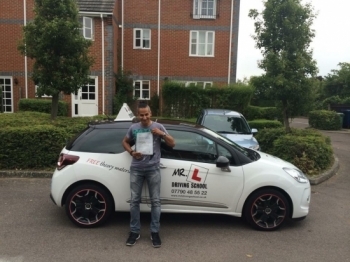 Congratulations to Damien from Cambridge who passed 1st time on the 4-9-15 after taking driving lessons with MR.L Driving School. 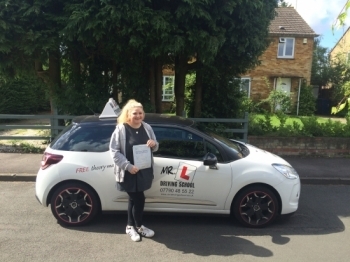 Congratulations to Fran from Cambridge who passed 1st time on the 28-8-15 after taking driving lessons with MR.L Driving School. 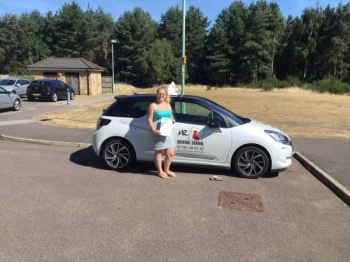 Congratulations to Lauren from Newmarket who passed 1st time in Cambridge on the 23-7-15 after taking driving lessons with MR. L Driving School. 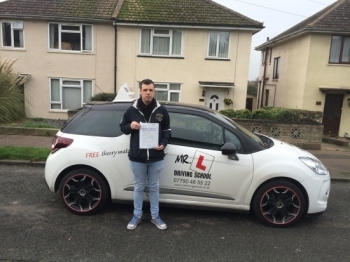 Congratulations to Zac from Cambridge who passed 1st time on the 3-7-15 after taking driving lessons with MR.L Driving School. 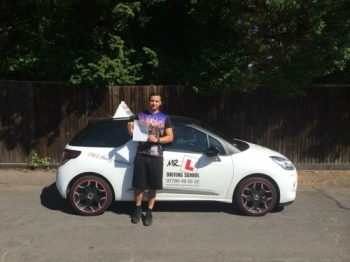 Congratulations to Jordan from Newmarket who passed 1st time in Cambridge on the 3-7-15 after taking driving lessons with MR. L Driving School. 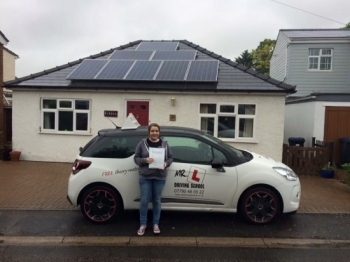 Congratulations to Louise from Stuntney who passed 1st time in Cambridge on the 19-6-15 after taking driving lessons with MR. L Driving School.